When it’s time to add or replace seating in your home, why not choose something that has extra style. 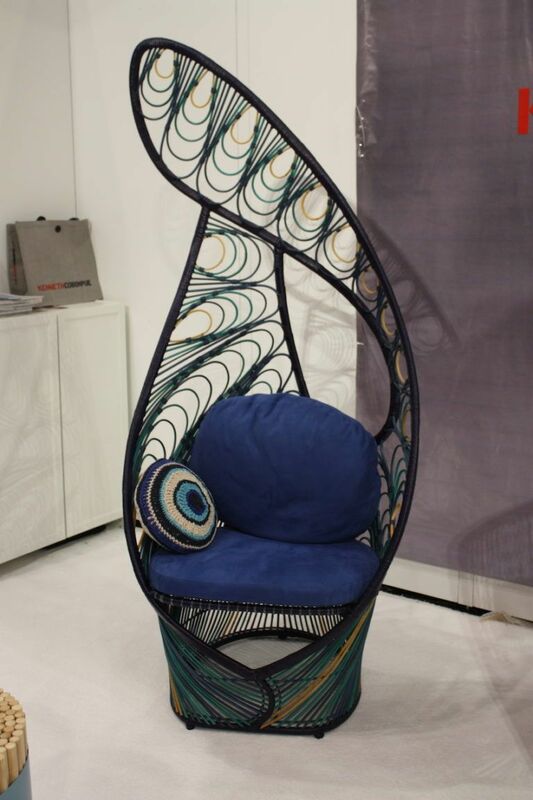 This chair by Philippines designer Kenneth Cobonpue is his Peacock Easy Chair. 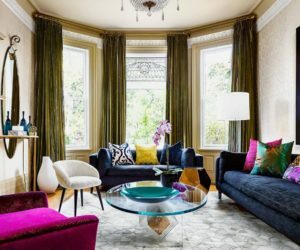 Don’t stick with basic wicker when you can have a modern, stylish seat that is done in iridescent green and blue, mimicking the plumage of a peacock. 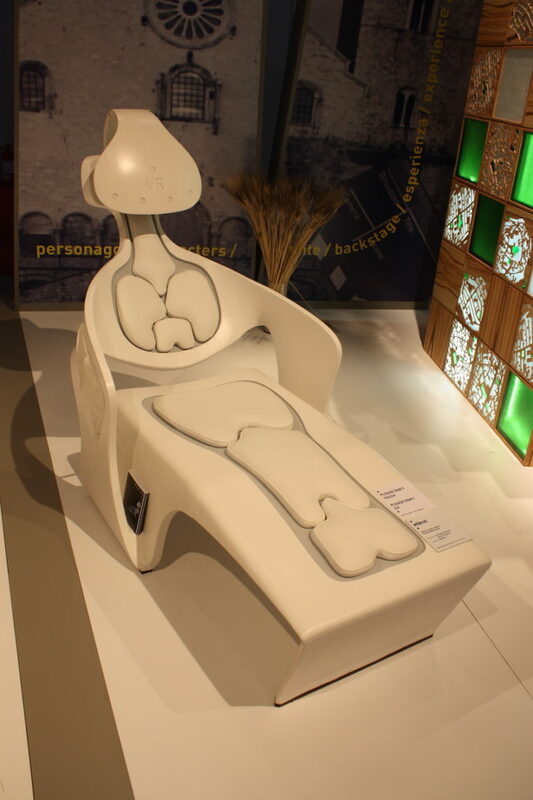 It also seems a bit throne-like, so your guests will feel extra special sitting in it. 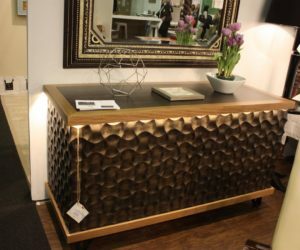 One-of-a-kind designer furniture is extra special and Sergio Villa’s offerings are really something. 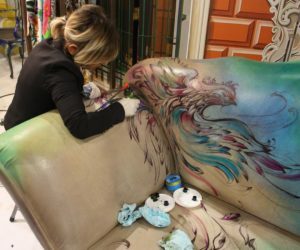 Tattoo artists apply unique designs to leather sofas and chairs, creating amazing, artful furnishings. 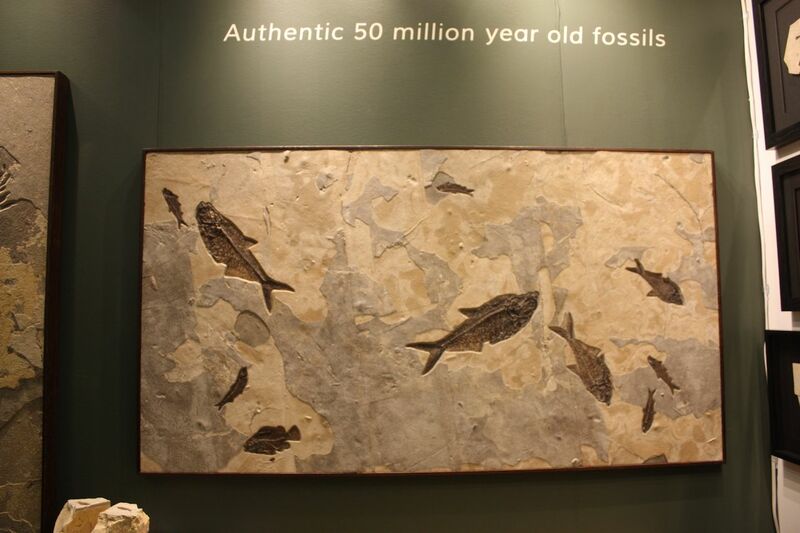 These cool designs will immediately become the focal point and conversation piece of any interior. 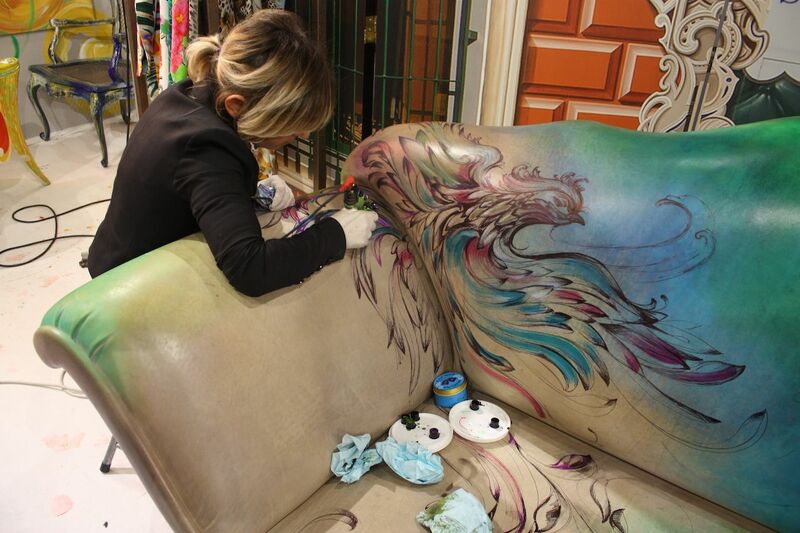 We can’t imagine a guest who won’t want to touch and comment on this incredible art furniture. 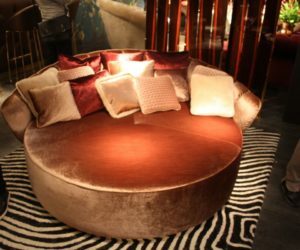 At the luxe end of the spectrum, this round sofa from VG is like a siren call, beckoning just about everyone to come and lounge on it. 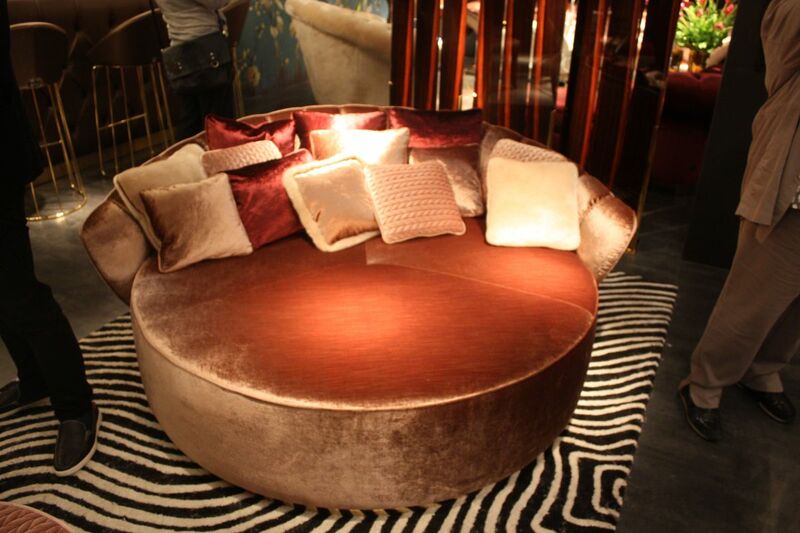 The plush velvet upholstery, ample feeling from the round shape and pile of pillows are nothing if not welcoming. This is one of the best furniture pieces for relaxing; all you need is a book, a cup of tea, and maybe the TV remote. 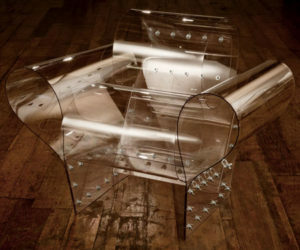 The Together chairs by Xiaotong Wang are a modern piece of designer furniture that looks like one unit but is actually two chairs that can change with the relationship of the people sitting in them. They can be arranged to face each other directly, to sit closely side by side, or in a looser arrangement as shown here. In any of those situations, the two are still joined by the laced-up edges and are visually cocooned together. Whimsical fabric for the upholstery of the Christie Chair by Fama is a perfect choice for this lounge chair that features an attached table. 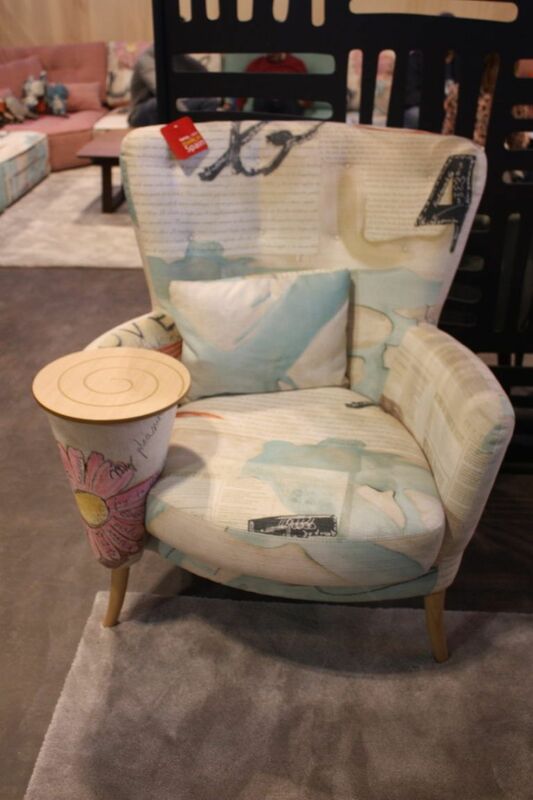 Sit and read, jot a few notes, or sip your tea in a seat that has a bit of a wonderland feel. 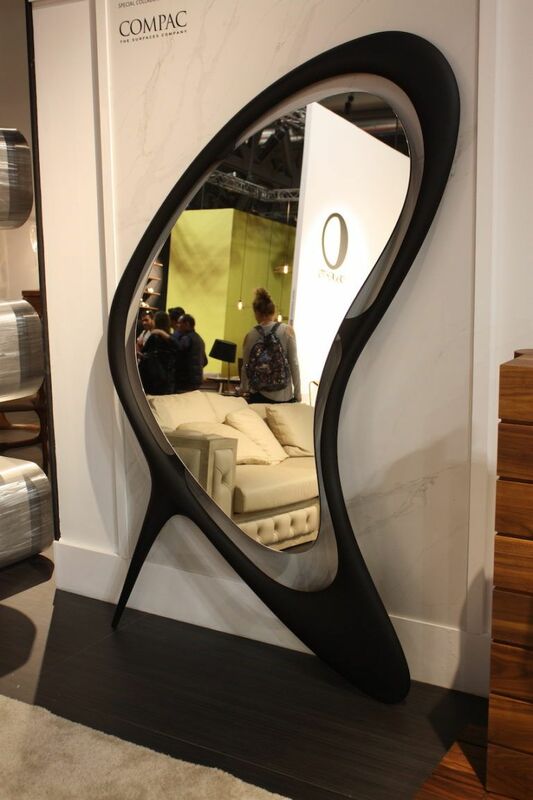 It’s a versatile design that would be perfect not only in a living room, but especially in a bedroom seating area. 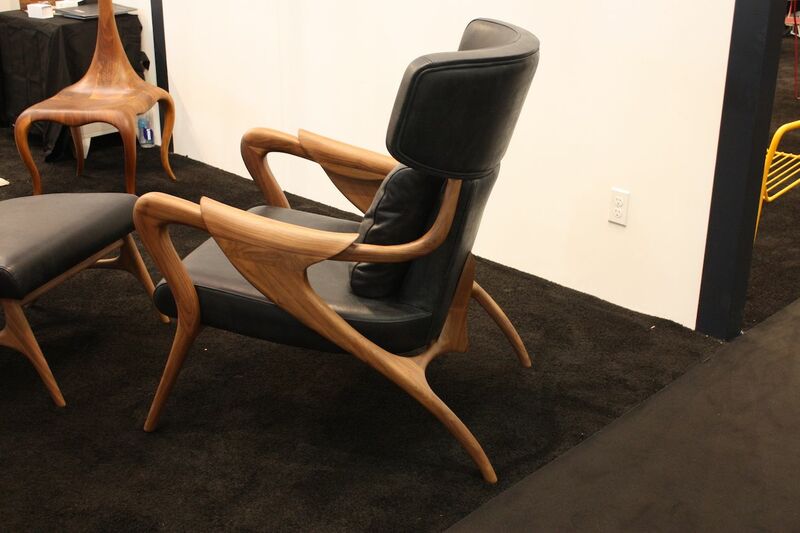 Turning up the collar on your shirt is a cool move and these Cuello chairs Hulsta offer the same concept. 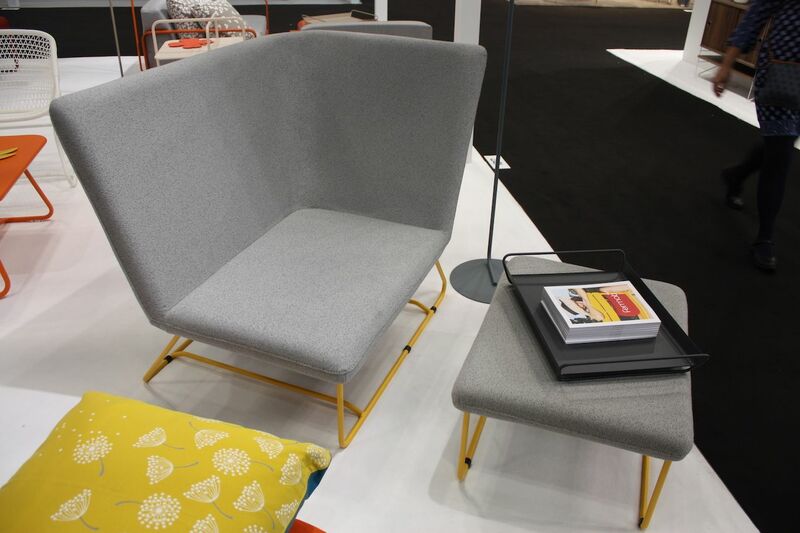 One chair offers two personalities: When the “collar” on the back of the chair is up, the exterior is all gray and encloses the person sitting for a more private feeling. 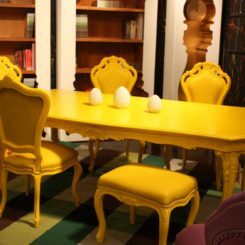 When the collar is turned down, the bright colored interior is open to the room and the chair has a more open feel, perfect for conversing with a room of guests. 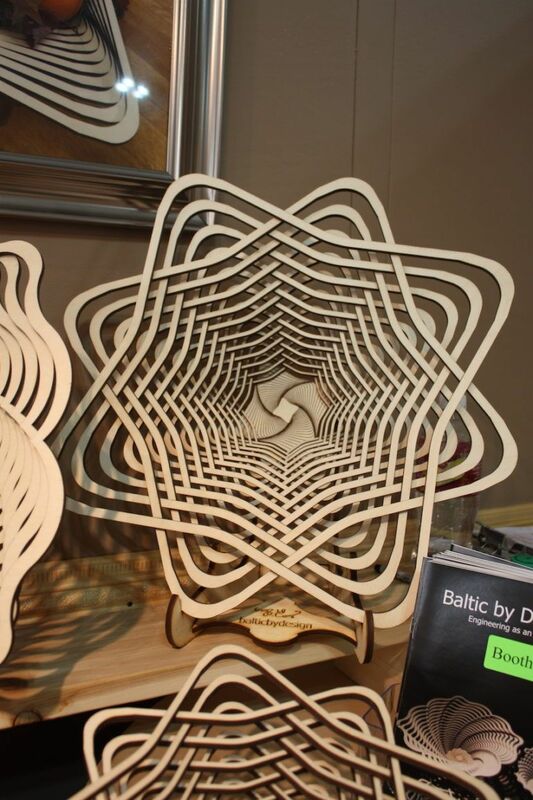 Verfo Design set out to show that it’s possible to make a chair from a straight line and the Fold chair is the result. 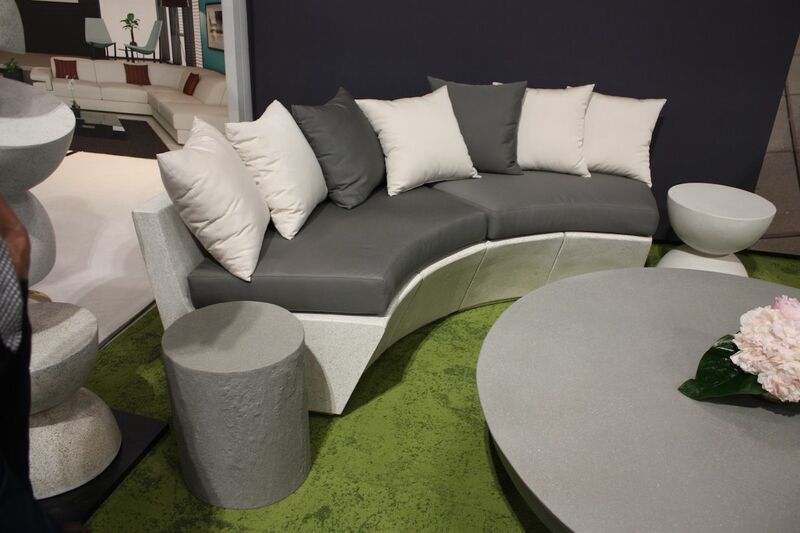 Its cushy, comfy and low to the floor, perfect for chatting and as extra seating for guests. We love the textured upholstery and the flanged edge that goes all the way around which helps it feel like they really did fold up a flat piece into this chair. A basic bench that is far from boring. 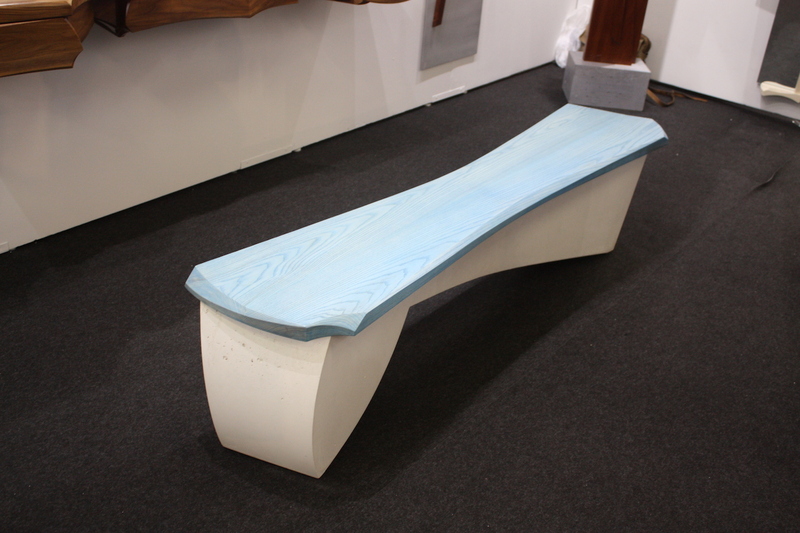 Niko Yeketai’s hand crafted-wood bench features cool designs for both the seat and the base of the bench. 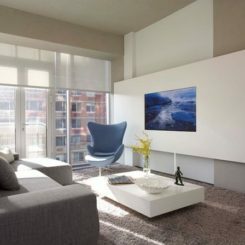 The color choice is also very different and adds a light element to any space. 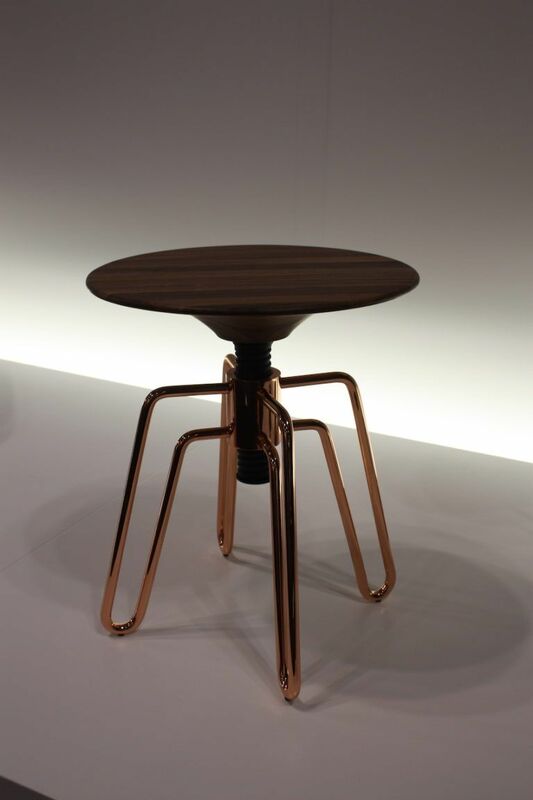 Stools have always been a functional item that is hopefully coming back into vogue, especially with options like this one from Sollos. 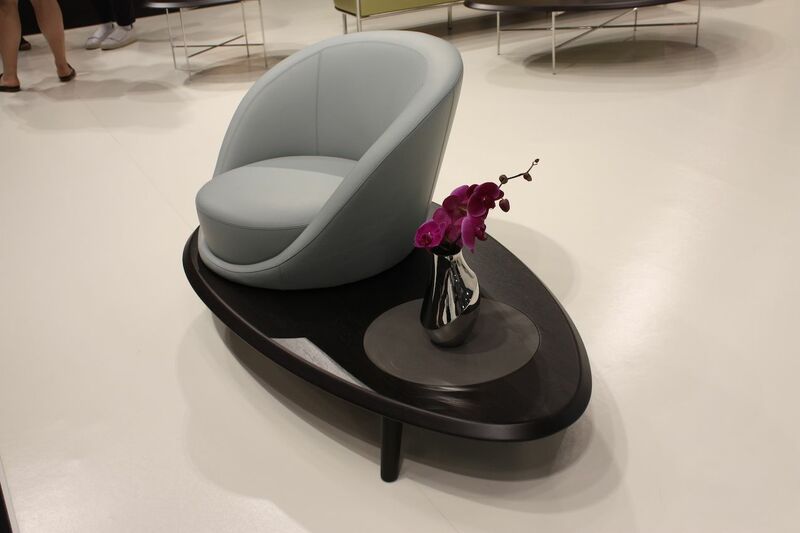 The popular hairpin leg design has been combined with an awesome adjustable seat. Moreover, it is done in a rose gold finish, which is very trendy right now. 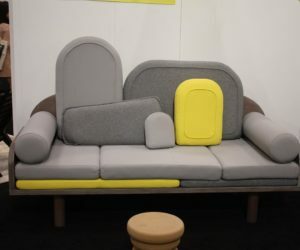 While this is a small piece among the designer furniture offerings, it really packs a lot of punch for its compact size. 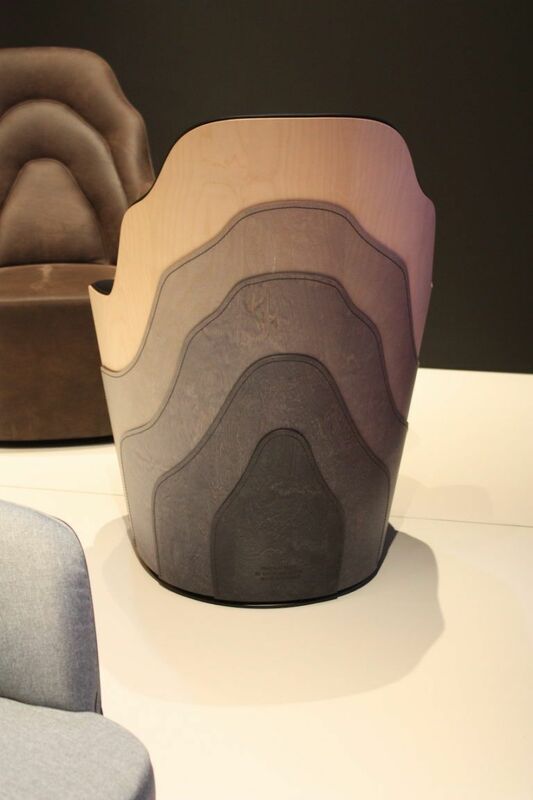 Being suckers for a gorgeous chair back, this Couture chair from BD Barcelona made us swoon. The back has a cool design that features plywood pieces that are shaped and sewn together with polyamide thread. 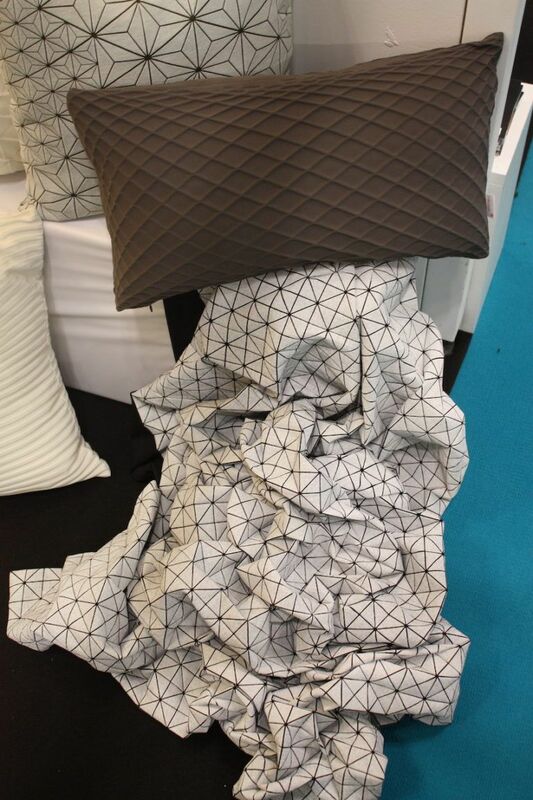 The upholstered front repeats the same peaked form. 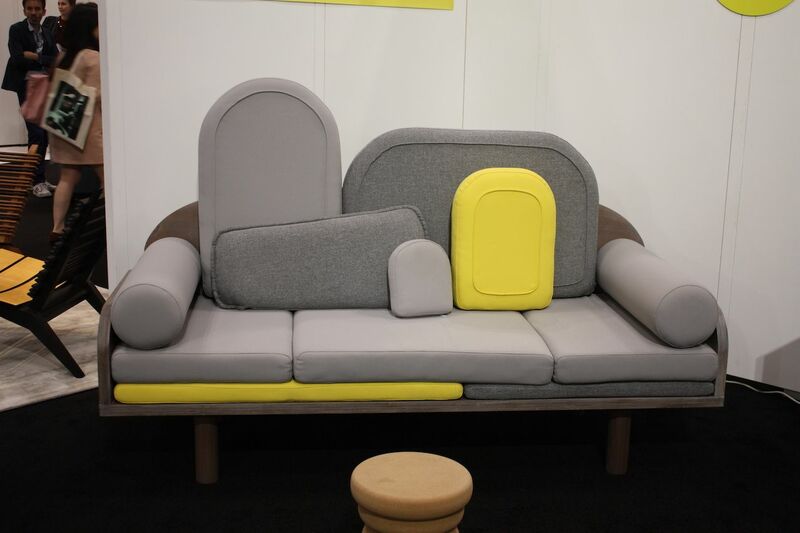 Swedish designers Färg and Blanche are known for their work using a sewing machine to stick the parts together. 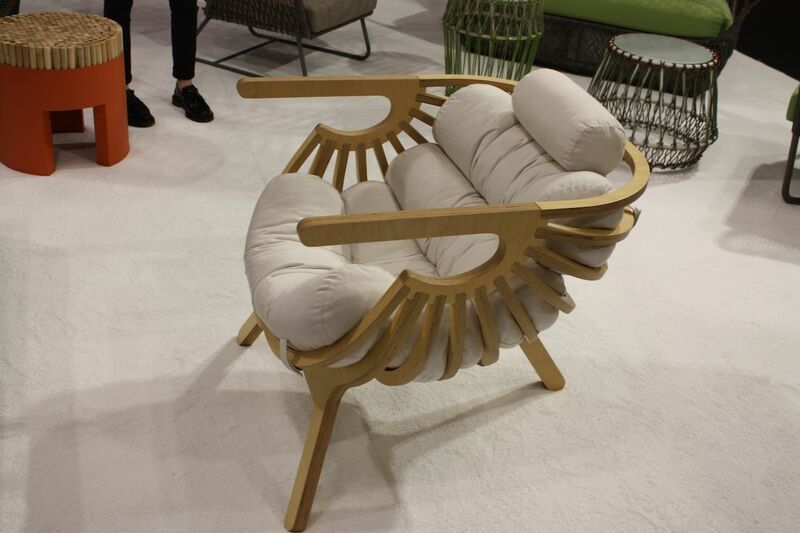 Wonderful, yet a little weird is the Möbius chair by Wood Tech. 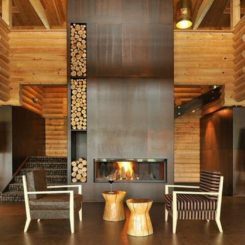 The entire lounge is like one continuous piece of spruce wood, made from upcycled scraps of construction beams. 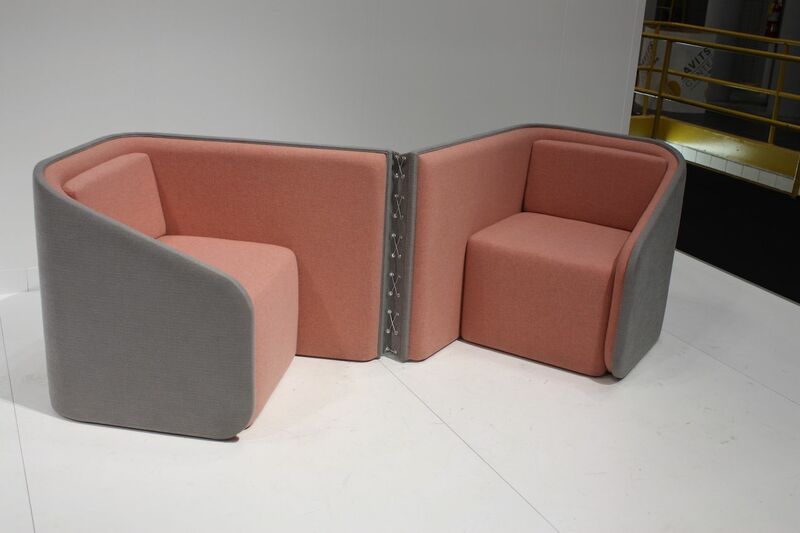 The futuristic upholstery layout is fitting for this lunge, which includes an optional headpiece that holds a 3D or virtual reality glasses. 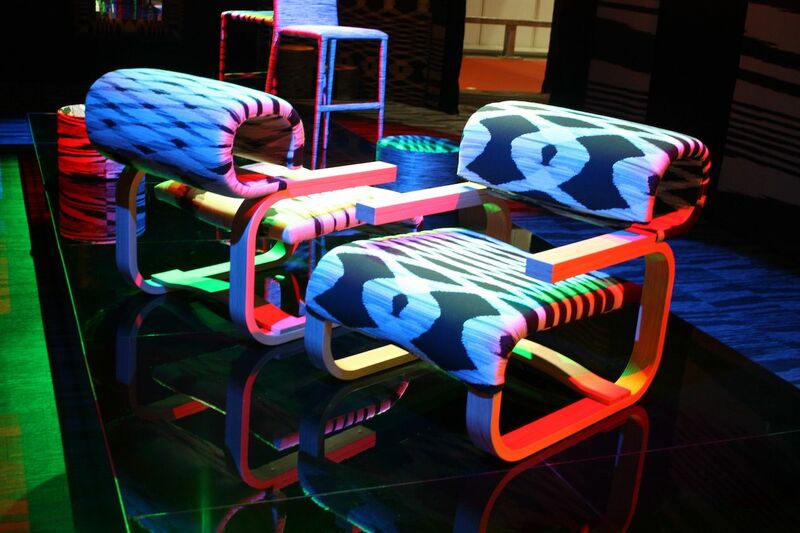 The cool factor with these chairs is due to more than just the colored lights in this display. Black and white upholstered chairs by Missoni Home have an innovative wood frame, paired with the iconic brand’s fabric. 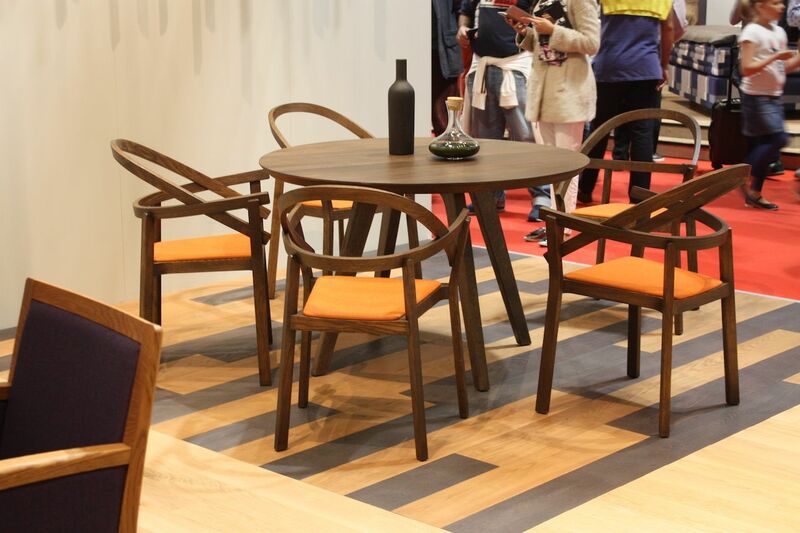 The graphic textiles and wooden frames make the chairs versatile pieces of designer furniture. 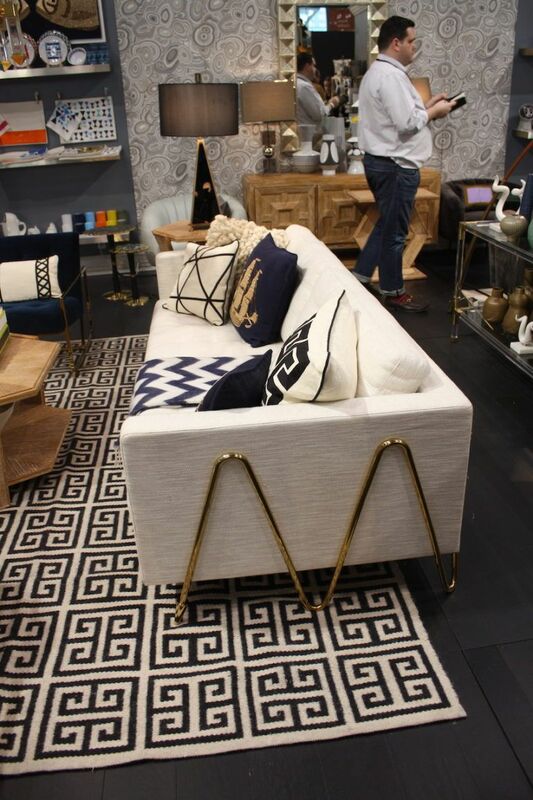 Jonathan Adler always has so many cool pieces, but the best furniture design we saw recently was this sofa that features a gold zig-zag shaped base. What was just a neutral piece becomes extra stylish with the novel frame. 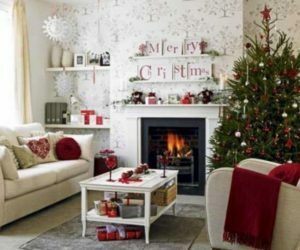 The best thing is that it could work with all sorts of interior decor styles. 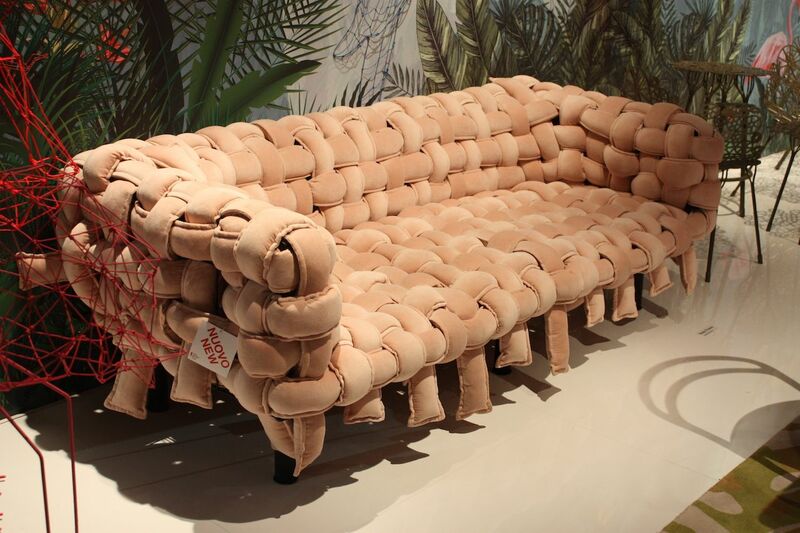 For those who are really into cutting edge designs, this may be the perfect sofa. Extra plush thanks to the weaving technique as well as the upholstery fabric, this piece of designer furniture will be the star of any living room thanks to its unusual look. It is somehow casual and highbrow at the same time. It has an elite air while charming you into taking a seat. Some of the best furniture designs play on subtle lines and design features, as does this dining chair by Christopher Guy. 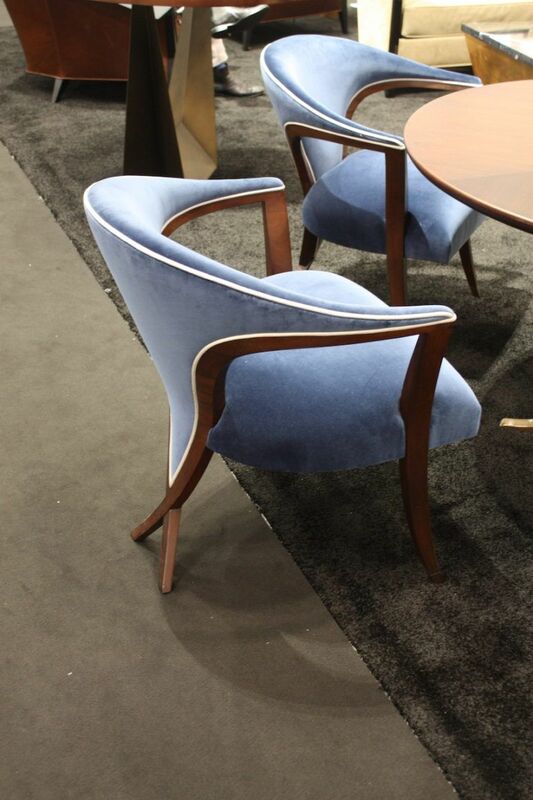 Extra details like the white piping that highlights the periwinkle-colored upholstery helps outline the tapered back design. Best of all, the gracefully back leg construction is like a pair of daintily crossed ankles. 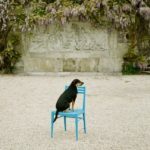 Modern acrylic combined with a centuries old tradition, Jomo Furniture’s Birth Chair II design evolved from traditional African birthing chairs. 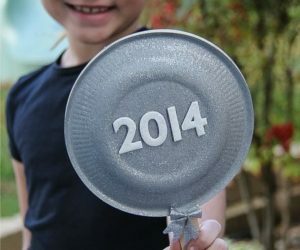 This cool design has removable back rests that can be changed out to suit mood or decor. 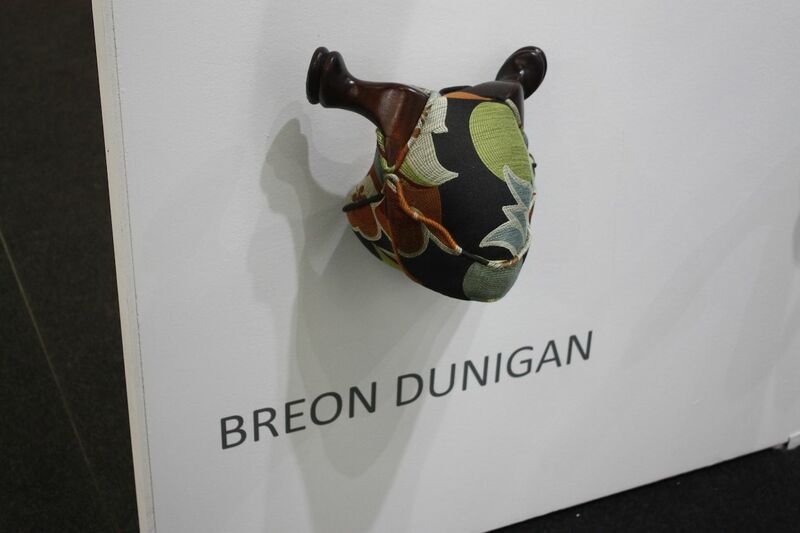 When not being used with the chair, extra backrests can be displayed as art. Gallery ALL’s R series chairs and stools are cool in and of themselves, but they got even more bewitching when the designer added fur. 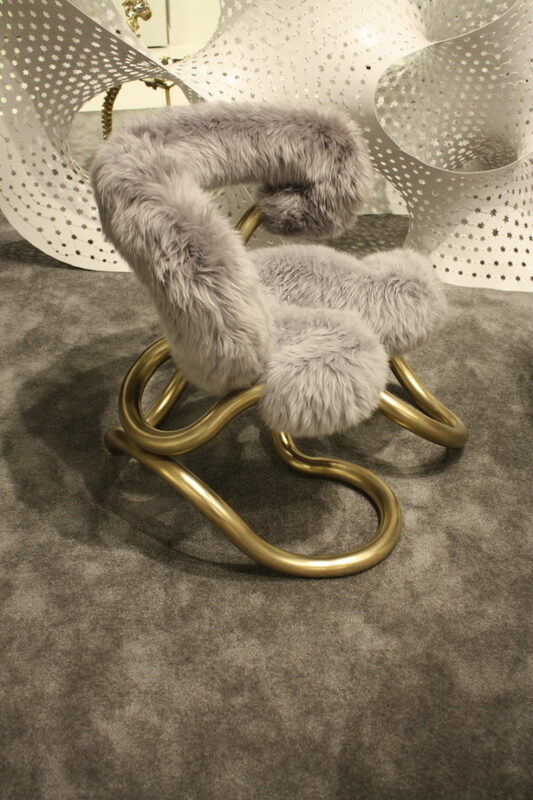 The juxtaposition of the golden squiggle of a base set against the plush fur makes for a visually interesting and comfortable looking piece of designer furniture. 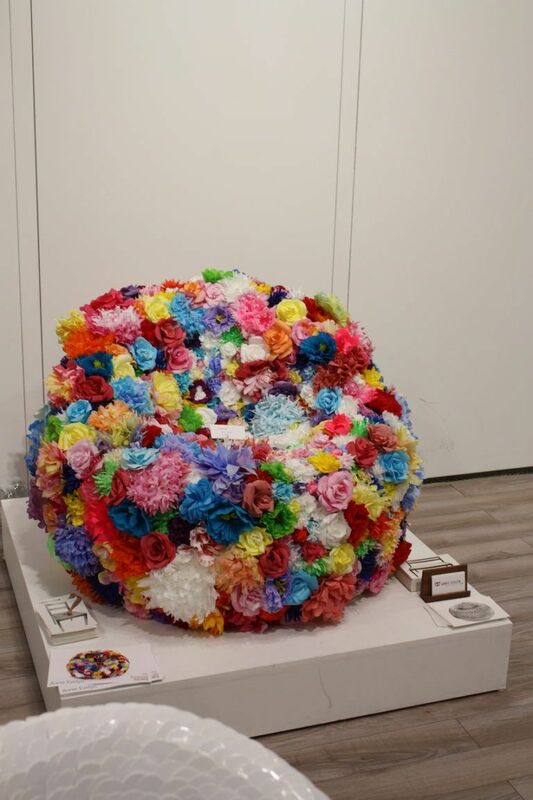 Almost as good as laying down in a bed of roses is sitting in this chair by Annie Evelyn. 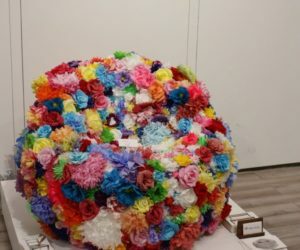 This big pouf of blooms is a prototype of handmade paper flowers, but the arts creates these in silk flowers as well, allowing you to actually sit in it. How fun would it be to have this cool design in your living room or office, where you can sink down into a mass of colorful flora and think up your next creative idea? 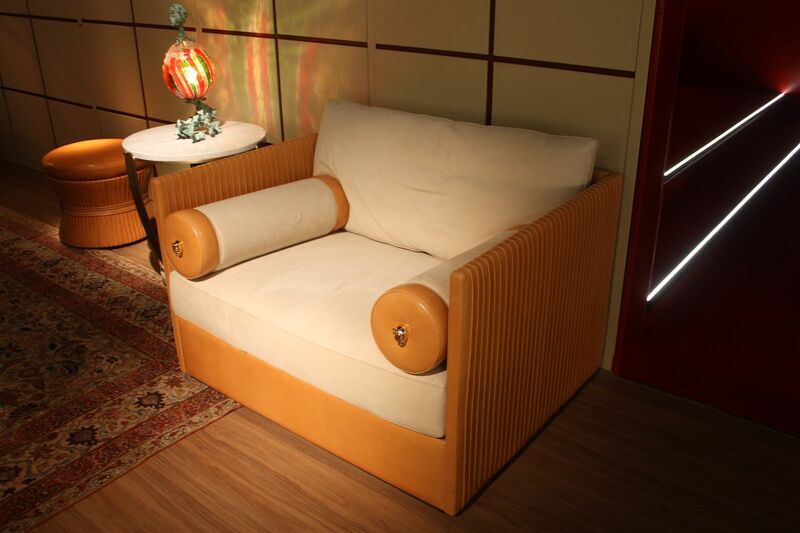 Leather furniture isn’t anything new, but the master craftsmanship of the material by Mascheroni of Italy brings the designer furniture a whole new level of cool. The attention to detail in this armchair’s stitched sides and the gold accents at the leather-accented bolster pillows is exquisite. Falling squarely in the realm of the unconventional is this daybed by Birnam Wood Studio. 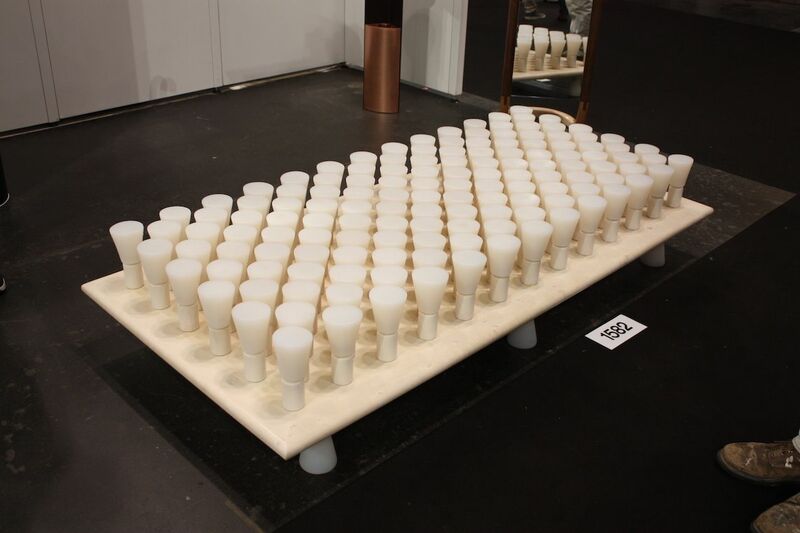 We weren’t quite sure what it was when we first saw it, but discovered all the cones are made from silicone, including the ones that serve as feet. 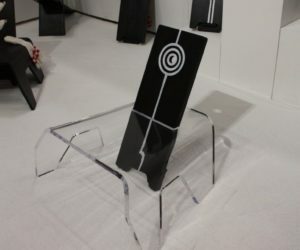 The result is a surface on which you can sit, sleep or loll about. The surface supports the body while allowing air to circulate, keeping you cool. 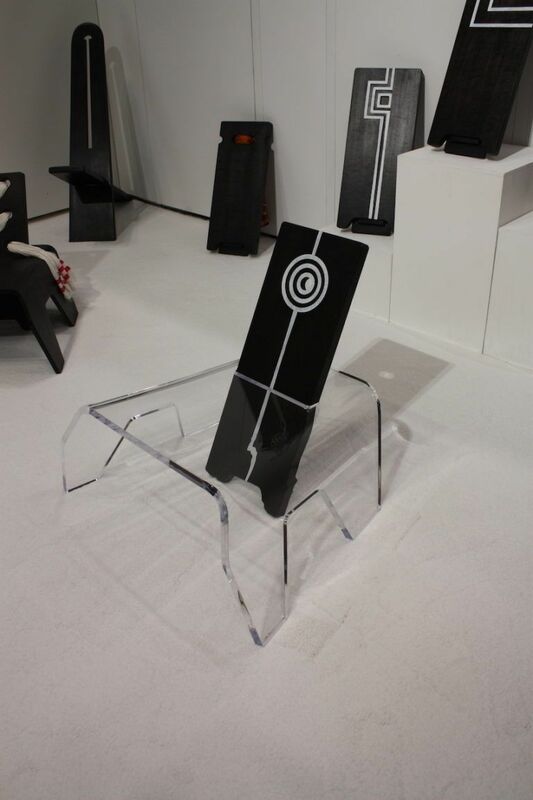 Eugene Stoltzfus Design has its iteration of the ever-cool Gerrit Rietveld’s Zig Zag chair. Here, the imposing chairs are paired with a plan table, as they should be. 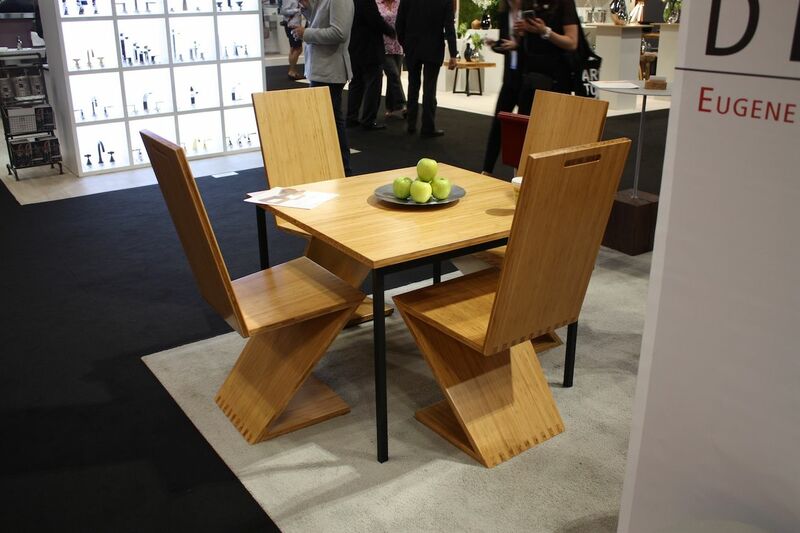 This is a great chair design that will never go out of style and adds a good dose of cachet to any dining space. Sometimes, storage space can be a necessary evil, especially when trying to devise a really cool design for your decor scheme. 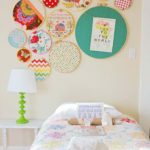 Fortunately, there are all kids of ways to incorporate striking elements that also serve as a functional place to stash all your stuff. 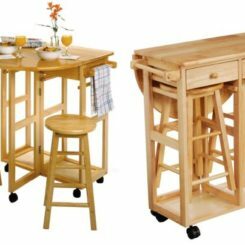 the kitchen is the first place where cabinet are of paramount necessity. Nowadays, however that does not mean they have to be wood and basic. 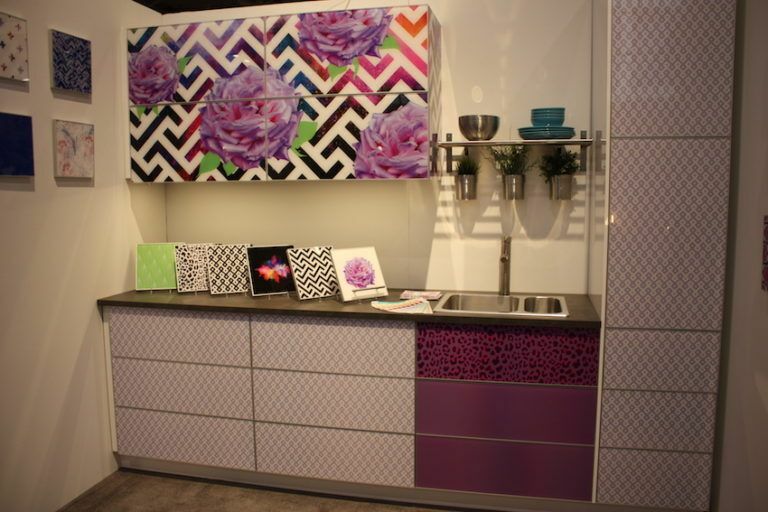 These cool kitchen cabinets from Alex Andrite Design have interchangeable fronts, which means you’ll never tire of them. Ikea cabinets — everyone has them and they are, unfortunately, readily identifiable. However you can change that with custom doors for you Ikea pieces from Semihandmade. The company makes all sorts of custom door finished so that you can customize the look of the stands furnishings. So cool and cost effective! 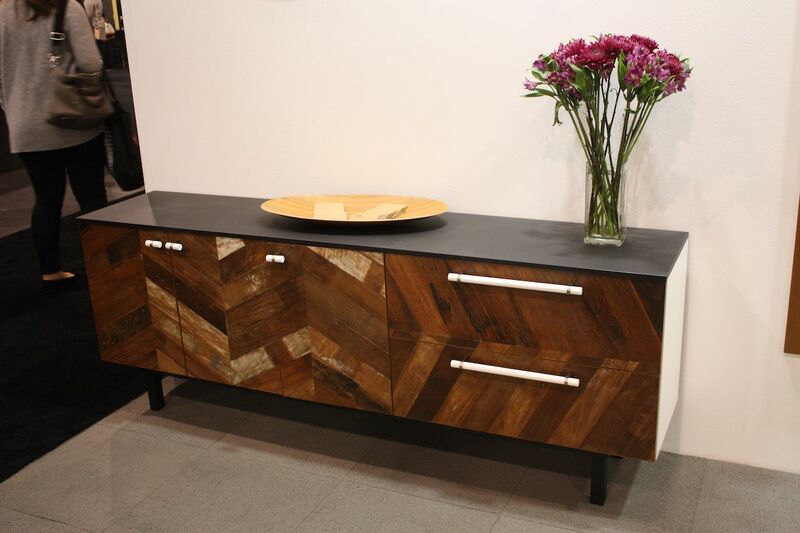 For a really spectacular piece of designer furniture, look no further than Egli Designs. 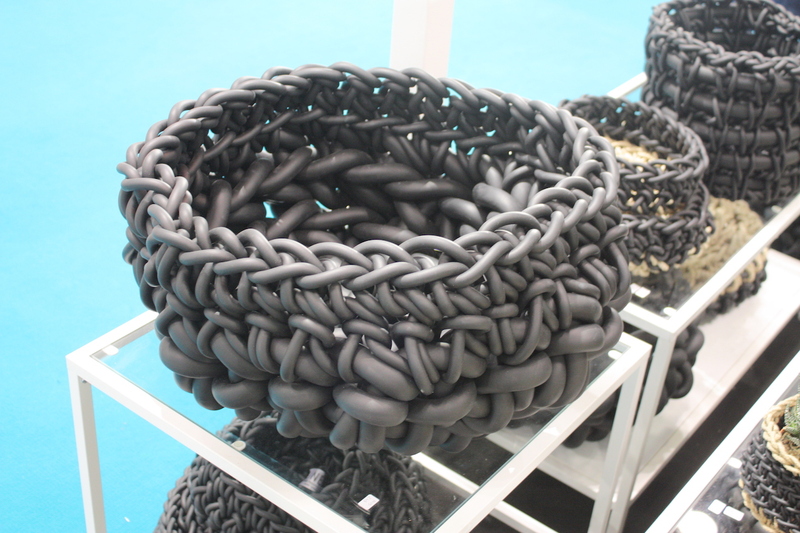 The Lithuanian artist behind the designs creates showstopping pieces, many of which are very functional as well as highly decorative. 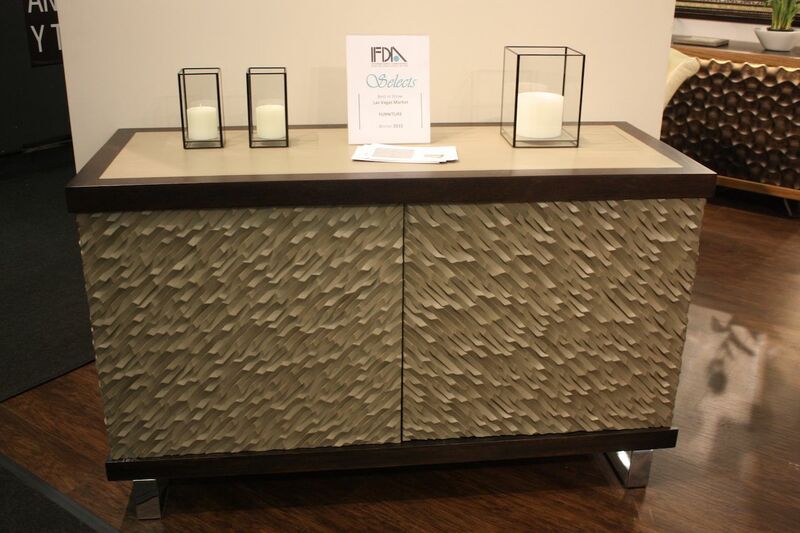 This bar cabinets can be purchased as a single unit or as a winged pair. Inside, there is a bar and a gorgeous wine rack. 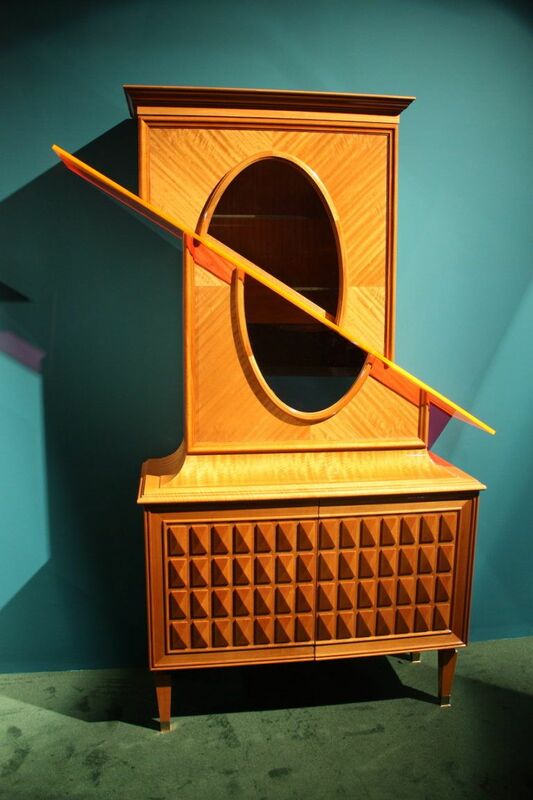 Boffi makes some very special designer furniture, including cool designs like this avant-garde cabinet. The slice through the middle and the shift in perspective are surprising and different. Best of all, the cabinet is still entirely functional. 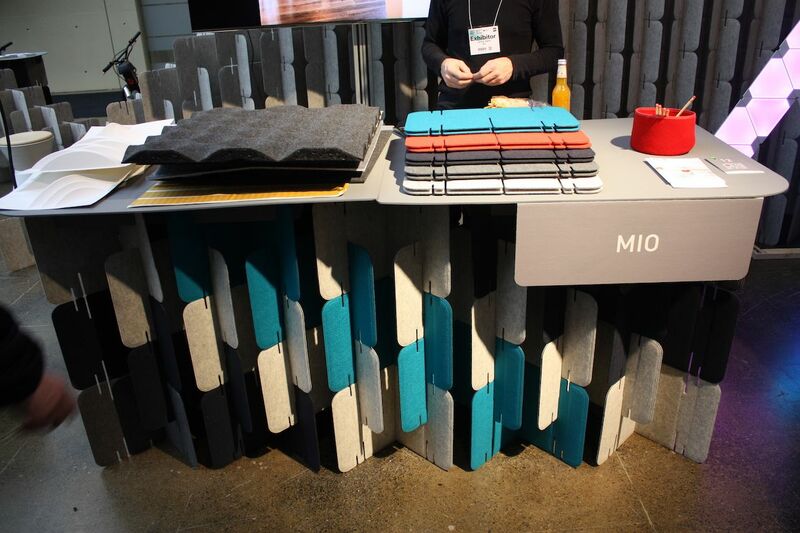 In another example of creative repurposing and sustainability, Ting of London creates wall and floor tiles, as well as designer furniture featuring discarded leather belts. 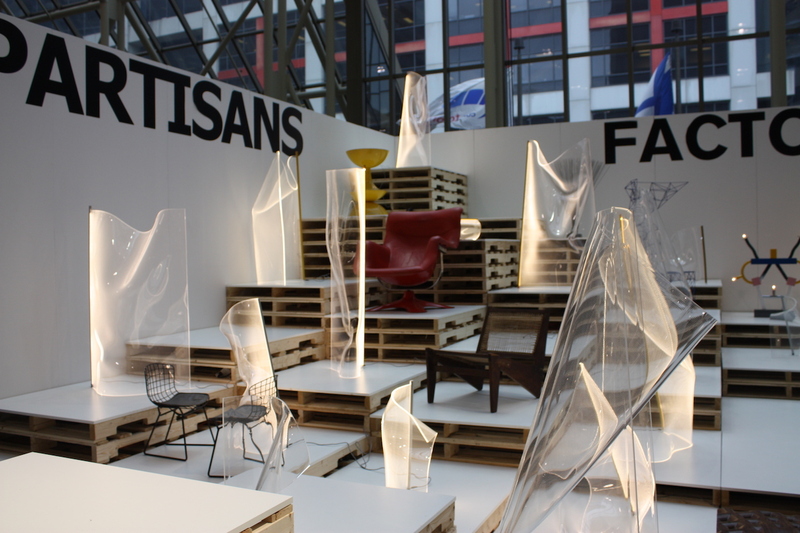 The resulting designs are made all the more interesting and stylish because of their “green” perspective. 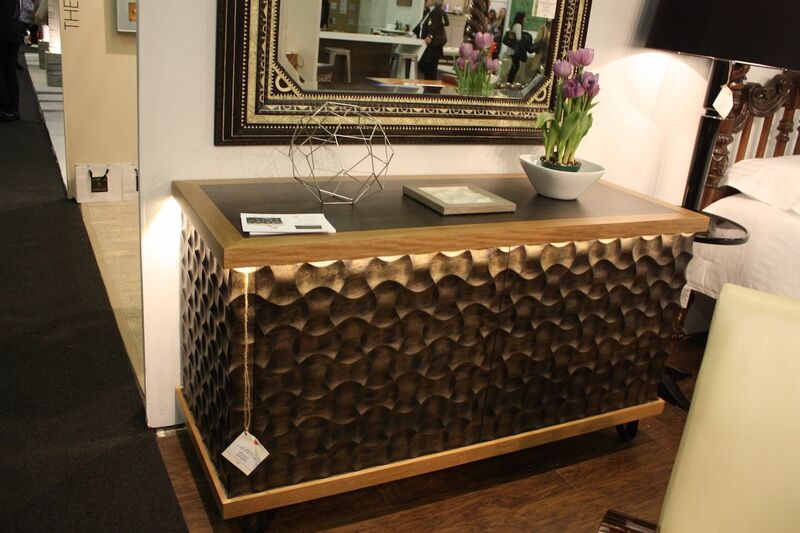 More art than credenza, this cool design is from Opinion Ciatti and is a truly modern piece. 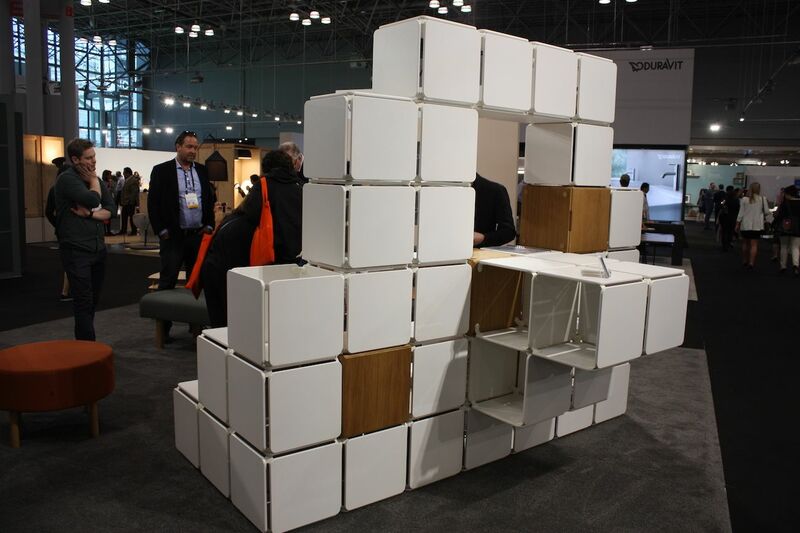 Constructed of sections of customized blocks, this can be as low or as large as you desire. 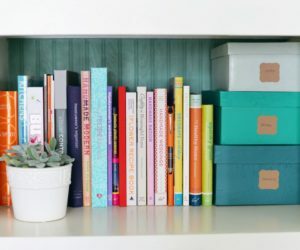 It also includes a variety of types of storage, from shelves to drawers or customizable units. Here’s a really cool way to store and display wine. Unlike the typical wine storage system, this has no big cupboards or cases, and relies on a sleek set of metal rods. 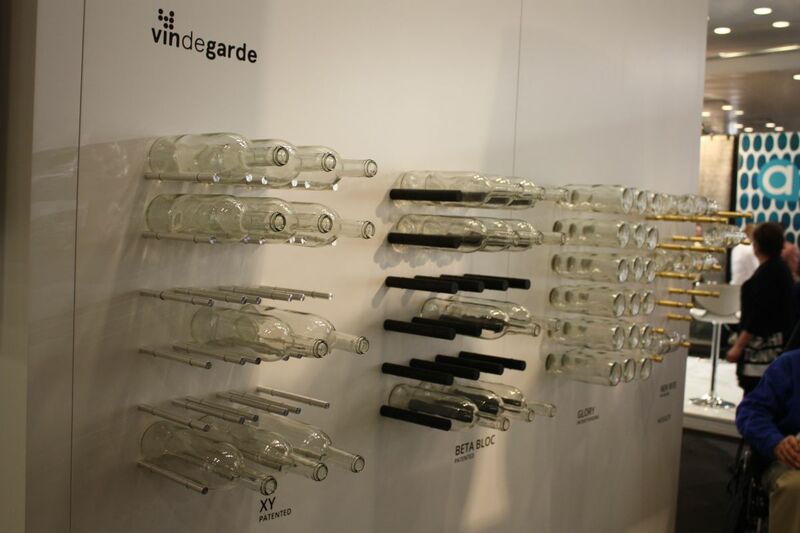 The XY Winepeg system from Vin de Garde comes as a kit so you can mount it anywhere in your home where you want to create a wine tasting area — or where you simply want to store or display the bottles. 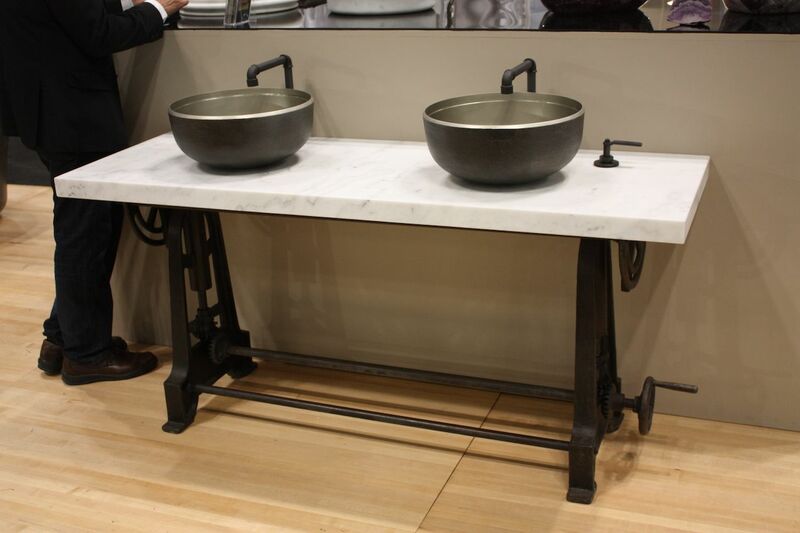 This washbasin is more than just a wooden model of a washbasin. First, the shine on the surface is amazing, which highlights the woods and grains in the vessel. 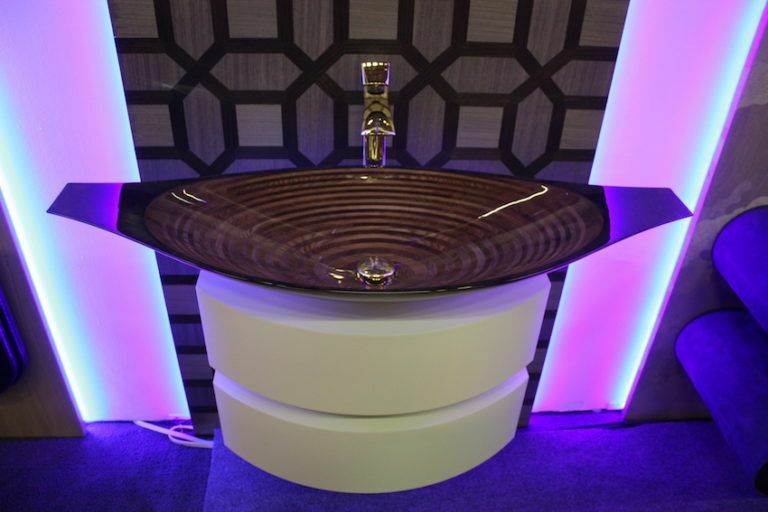 Ammonitum of Switzerland specializes in these yacht-style bathrooms and fixtures. If you can’t have a yacht, you can at least have the sink! 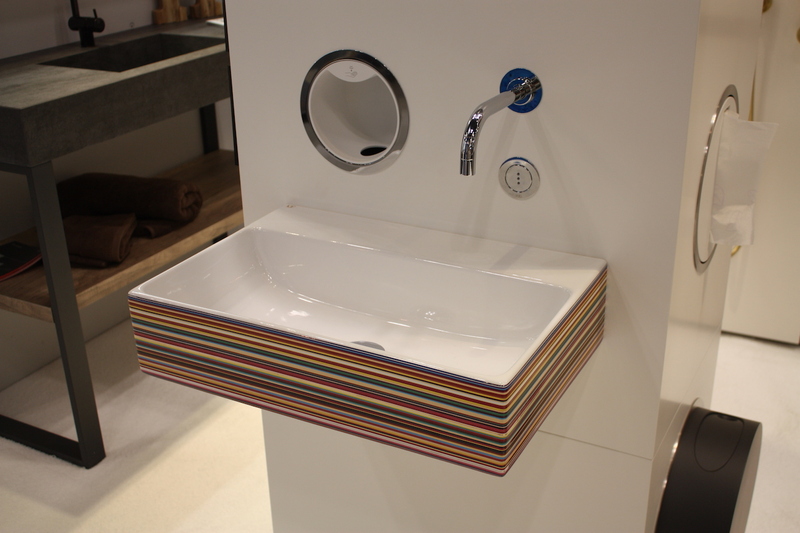 Color is a fabulous thing, especially when it takes the form of stripes on a rectangular bathroom sink. 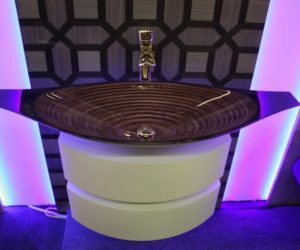 This cool design is from Hastings Tile and Bath, and is best with a wall mounted faucet like the one here, which has an offset mounting. 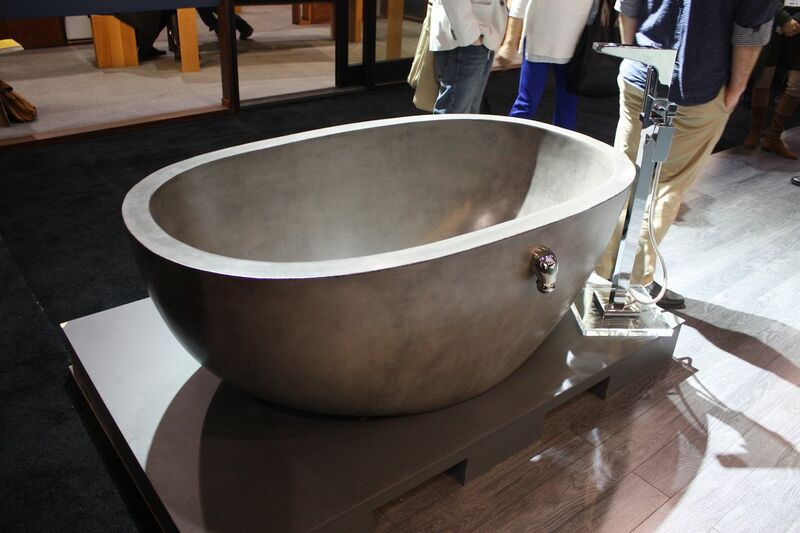 The striped design is also available in an awesome free-standing bathtub. 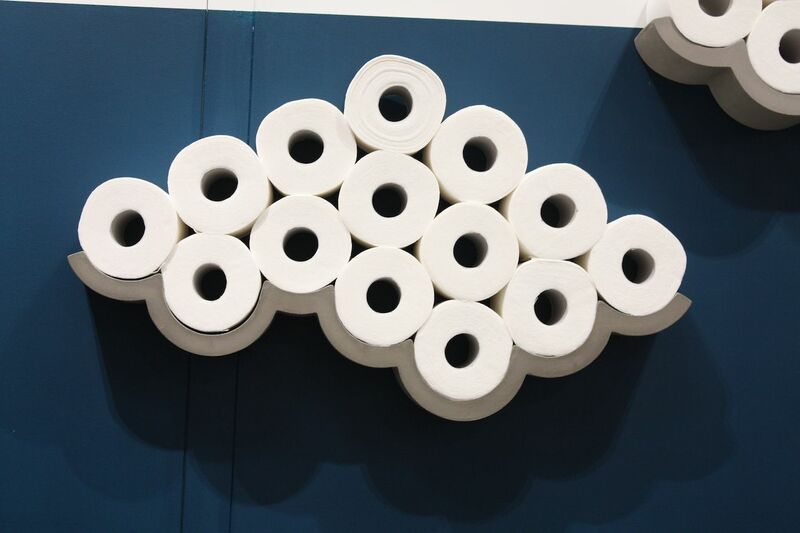 Who should think of turning your toilet paper supply into a work of art? 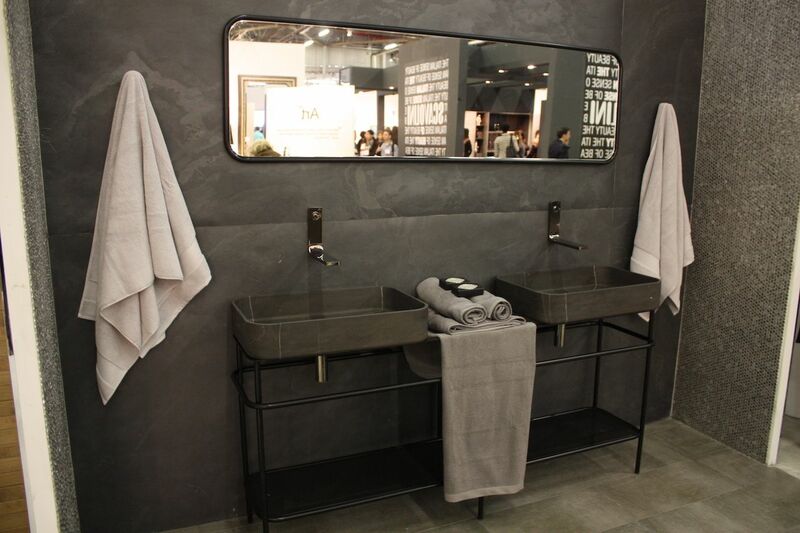 This is the Concrete Cloud Toilet Paper Shelf, by Bertrand Jayr for Lyon Béton. 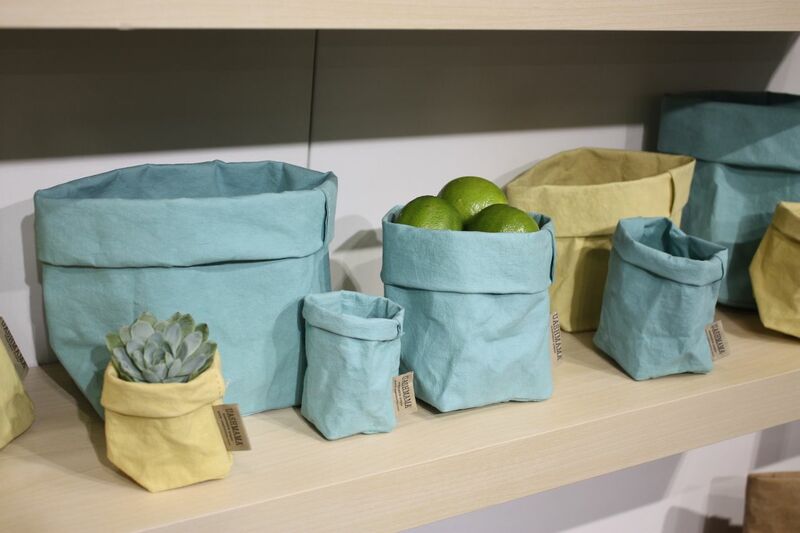 It’s a far more artful way to store this necessity than the typical vertical stack holder. Plus, why hide it? 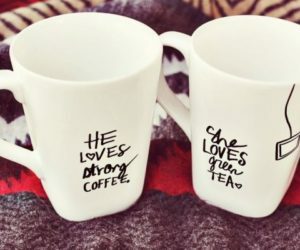 It’s something you definitely need, so turn it into something cool and attractive. We’re only picking one kitchen innovation that we think is eminently cool: A programmable coffee maker that will create all your favorite coffee drinks at the touch of a button. It can also be queued up to make all your guests’ favorite after dinner or brunch coffees with the same great base as your local barista. 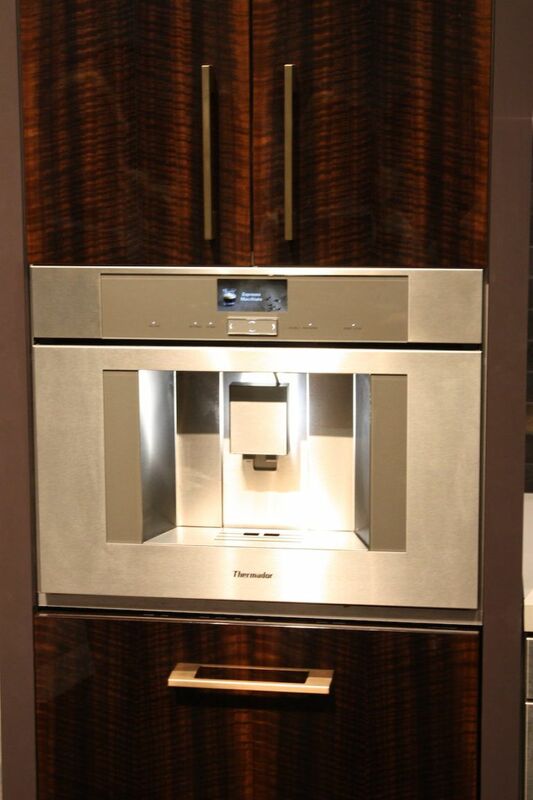 This one is from Thermador. 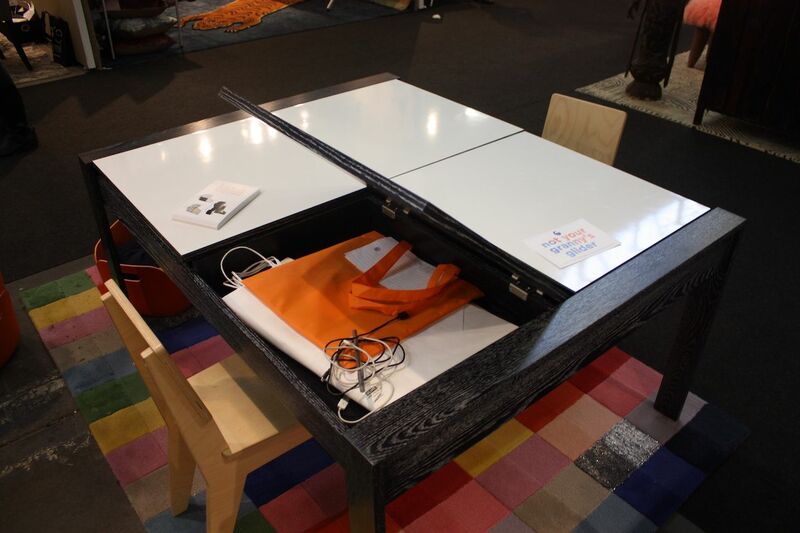 Tables are another category the has an endless supply of cool designs. 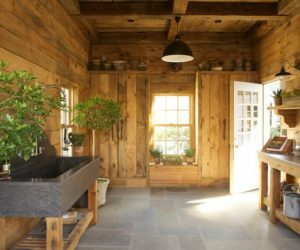 Some are fancy, some are charming and some are downright amazing, but all of them will add a terrific dose of style to an interior. 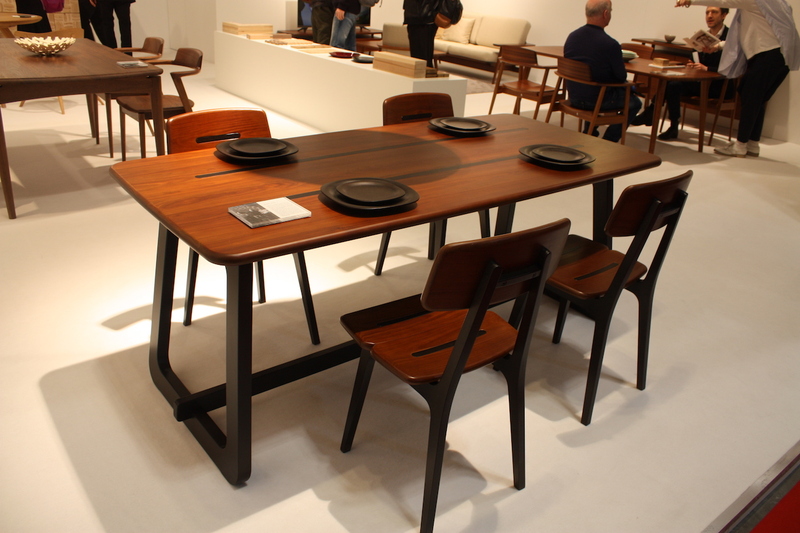 First up is this modern and colorful table from Kiel Arto. Crafted from recycled automotive steel, what was once the hoot of a Mustang could be your new dining room table. The layers of color are achieved by buffing away the top layer of paint, not beading anything. The designers say that you never know what you’ll find underneath. 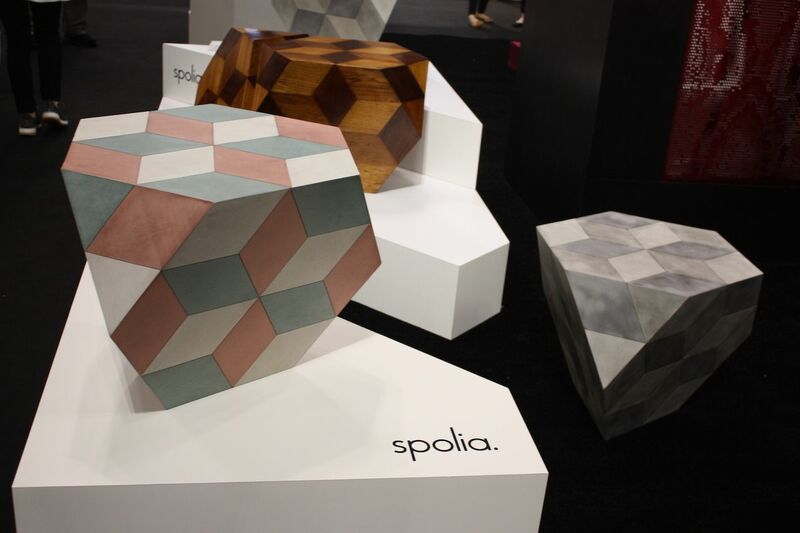 Yet another style of upcycled designer furniture is from Spolia of Austria. The company makes limited edition pieces that features repurposed materials and the fine craftsmanship necessary to make them shine. The various geometric shapes are a fitting structure for the surface design. 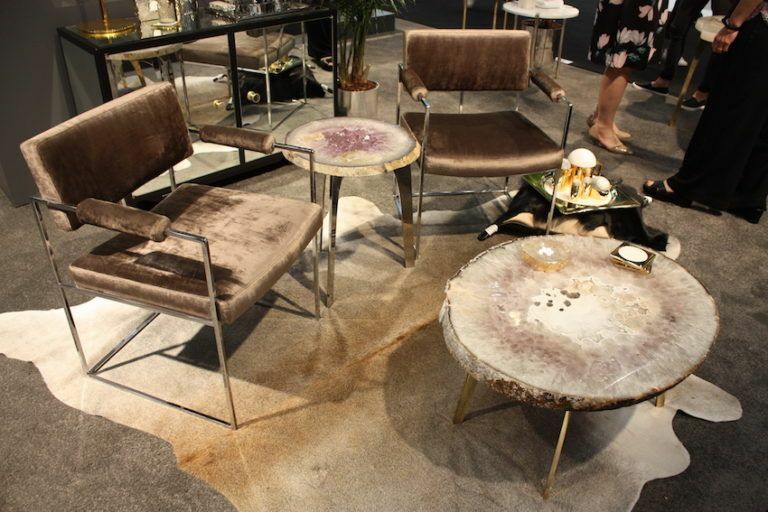 Crafted from real slabs of gemstones, these tables from Anna by Rablabs are stunning with their druzy centers and gilded edges. These will take any setting to a luxe level. 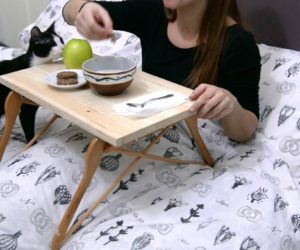 These kinds of tables have a cool design and are extra durable. Regardless, they are exotic, rare and striking. 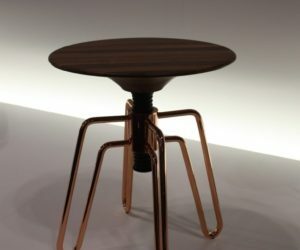 The sweet little table is cool for its shape as well as the fact that it is done in a rose gold finish. 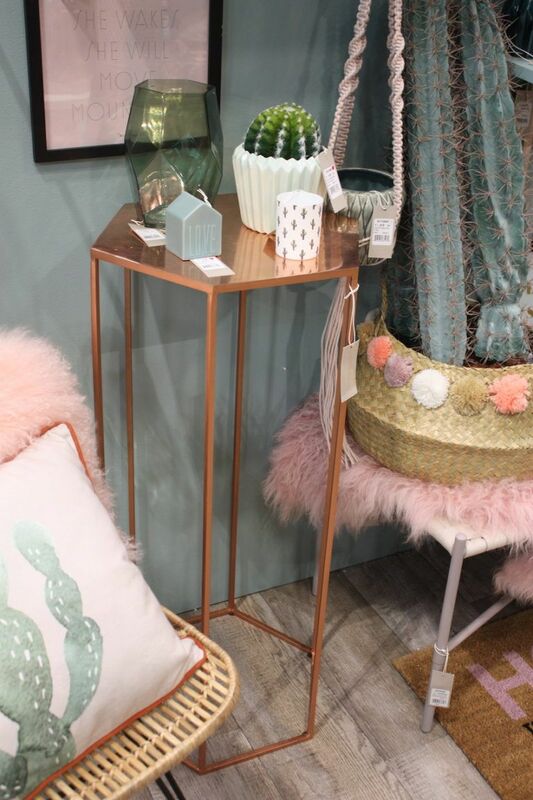 Bloomingville’s occasional table is an excellent piece to go with the “millennial pink” color that is trending for interiors. 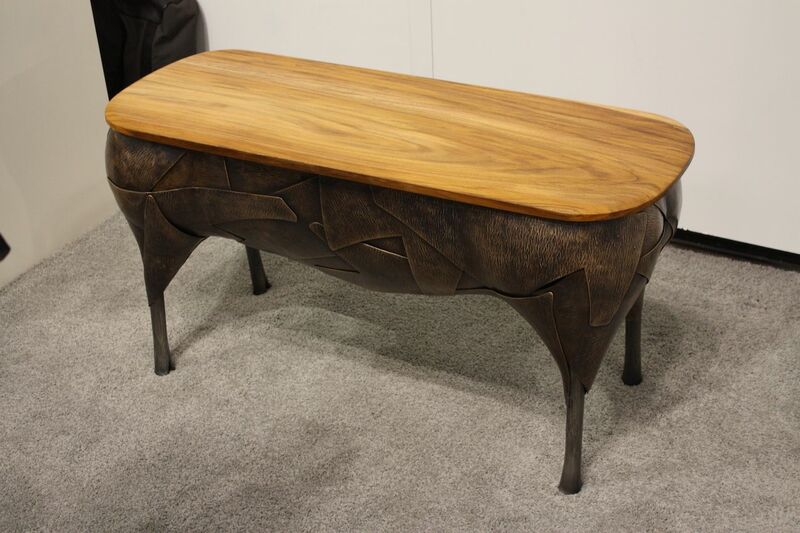 Furniture with anthropomorphic details is always among the best furniture, and this piece from John Rais Studio is no exception. 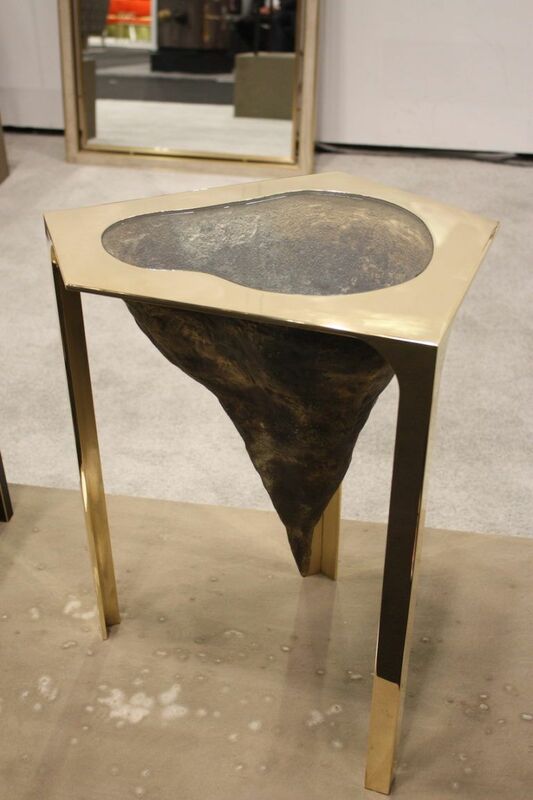 Each end of the table looks like the haunches of an animal, enhanced by the texture of the overlapping metal pieces that form the bottom of the table. 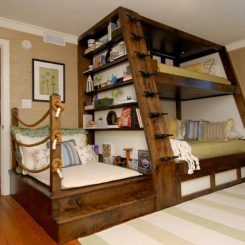 Kids rooms are a perfect place for all kinds of novel, cool designs. Even baby can benefit from some of the new things out there. This is a music therapy cradle from Valeschi that studies have shown can soothe a crying baby. The music and vibrations can calm the child. 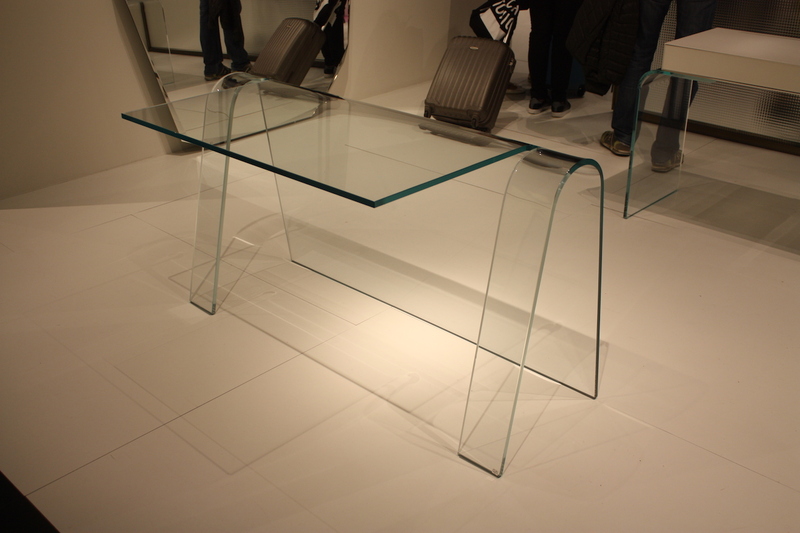 It’s also a very attractive piece of designer furniture with a tech edge. 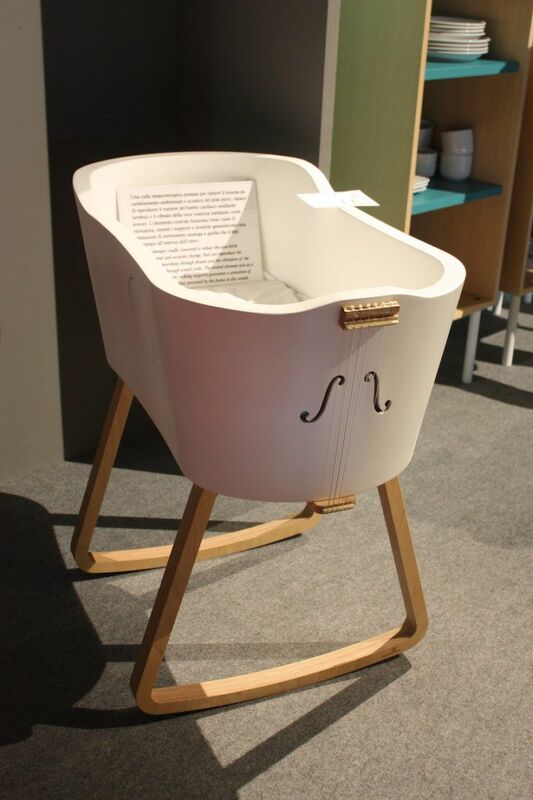 On the no-tech side is this modern and gentle-looking bassinet from Monte. 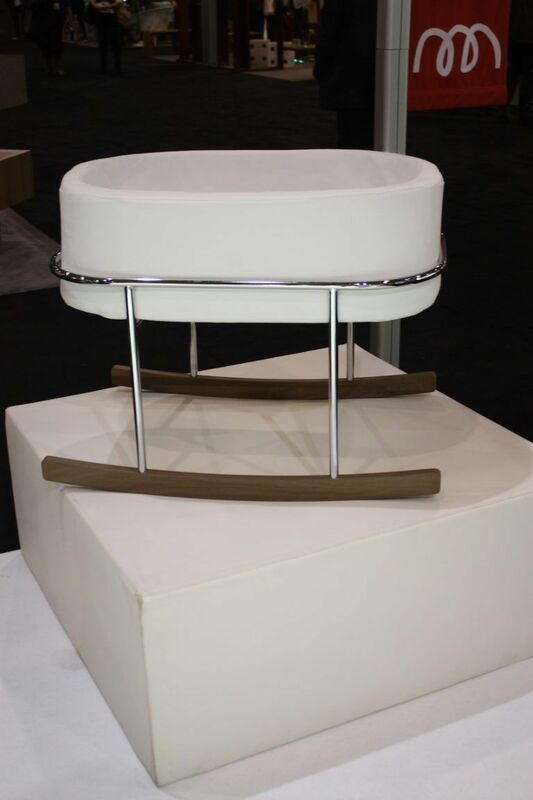 The Rockwell Bassinett has a minimalist look with plain white cradle, modern chrome frame and walnut rocker base. 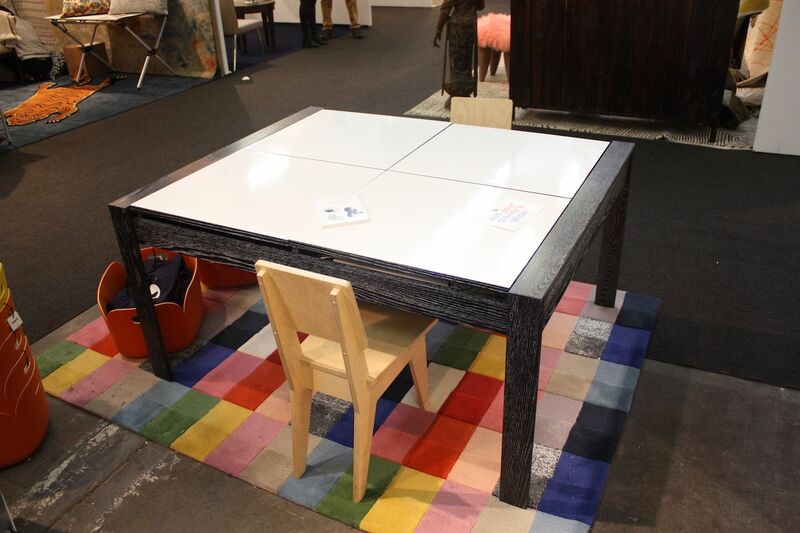 Every kid needs a table and the whiteboard top of this one is fabulous for creative little people. It’s from Duc Duc and features hidden storage inside so cleanup is easy and fast. 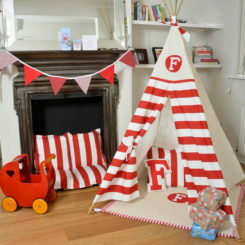 Oh yes, and the materials used in making it are all eco-friendly. 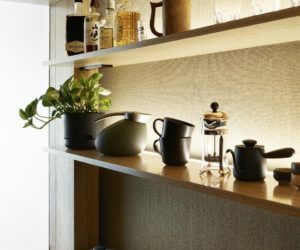 Cool shelving is another feature that can elevate a space and we could a couple of examples of some fund designs for displaying and storing things. 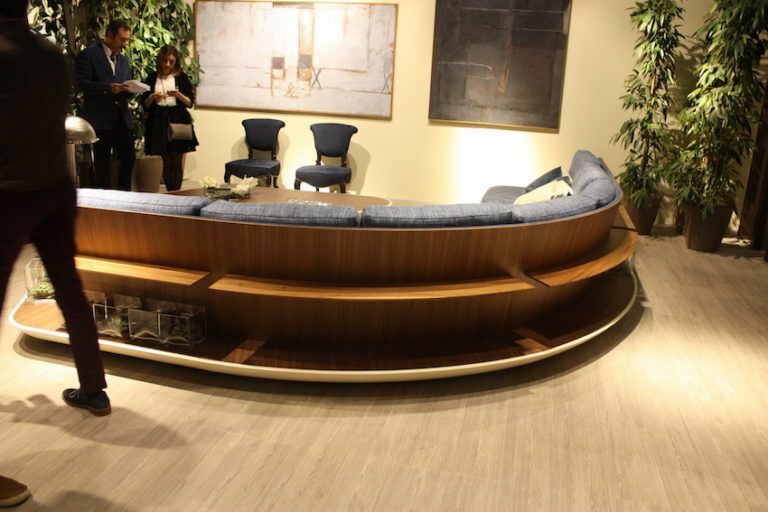 First up is a sofa backed by an attached shelf system from Annibale Colombo. 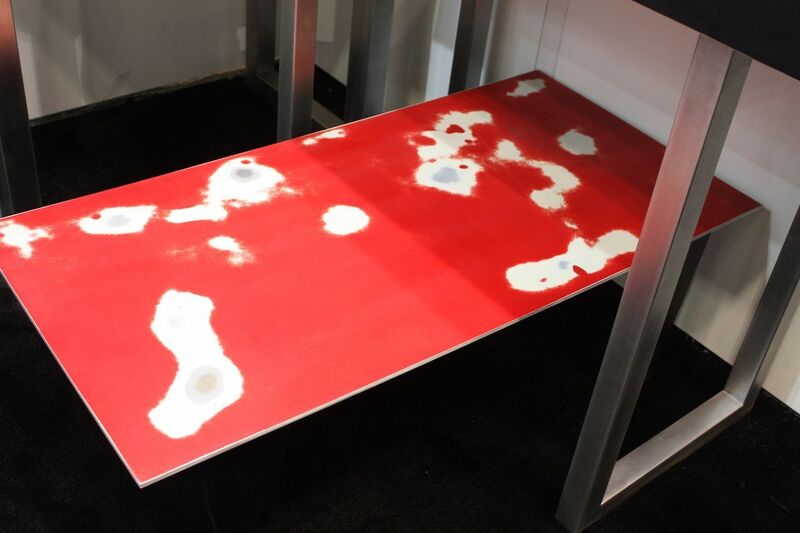 We love this because it means you don’t have to search for console tables that will work with a rounded sectional. 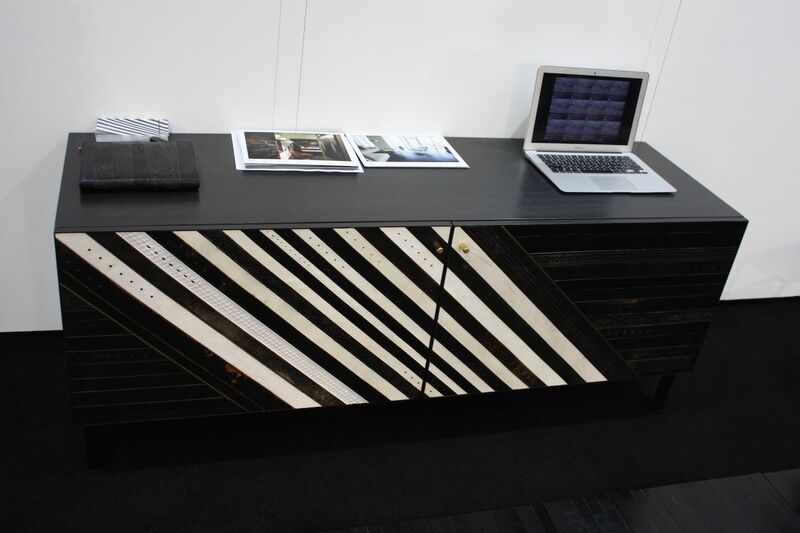 Besides, the wood used for this designer furniture is gorgeous and makes a fabulous accent. 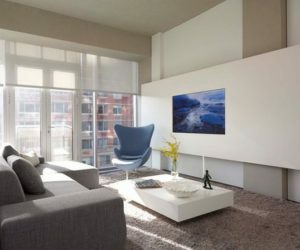 We definitely could not pick highlights without including the latest in home tech and we recently found a number of cool designs for the home that are based in cutting edge technology. Nolan Niu debuted its MOVE massage chair and with it, you can say goodbye to the massive massage chairs that work by beating on your back, shaking you to your core. 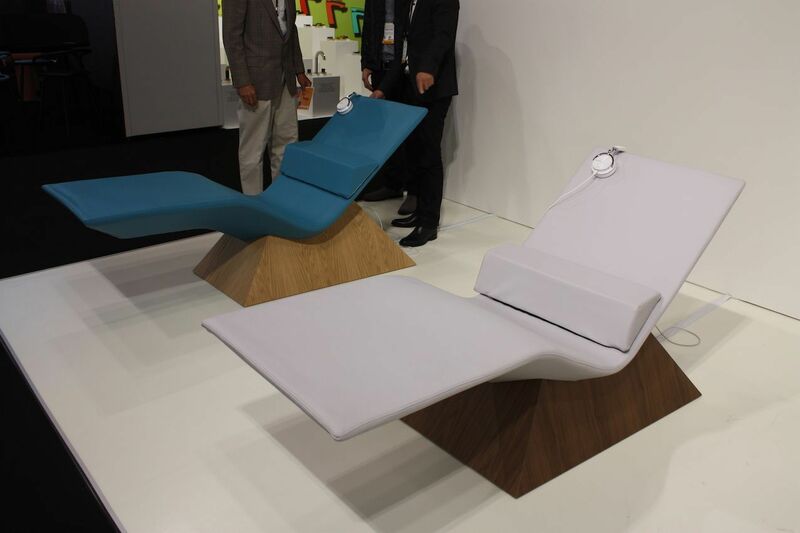 This stylish lounge works using cutting edge sound waves techniques that medical technology uses for healing. With a headset that contributes to the experience, its one of the most relaxing and otherworldly experiences you can have. 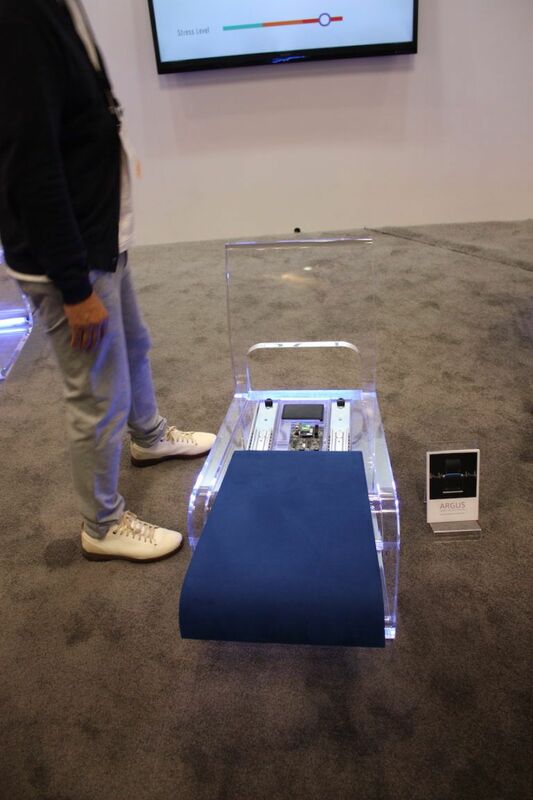 Healthy environments and lighting are really hot right now, and Argus also debuted a cool design for smart furniture in its sensing chair. Sensors hidden inside the chair read the vitals of the person seated and project them onto the screen. You can have your heart rate and respiration, as well as stress level charted. This is easy and painless — a great option for keeping your health top of mind! 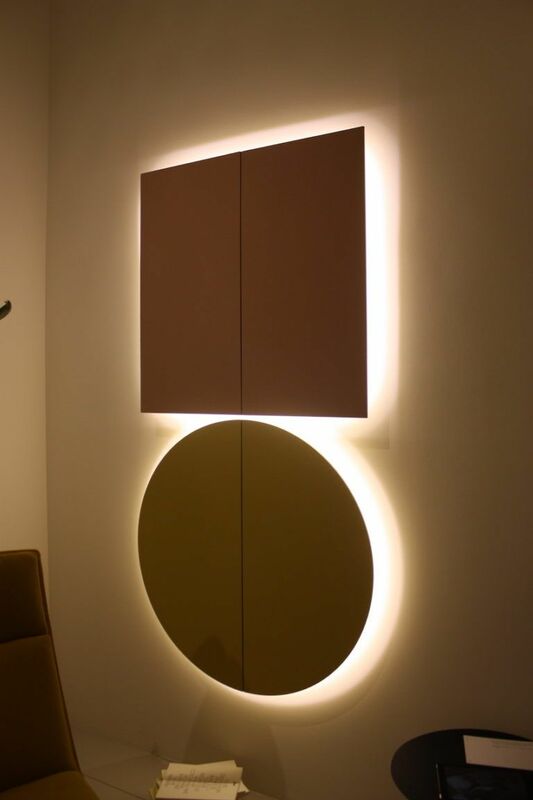 A little less high tech, but still technology based are these wall units from Arper that are lights, speakers, and wall decor all in one. the geometric shapes are modern decor. 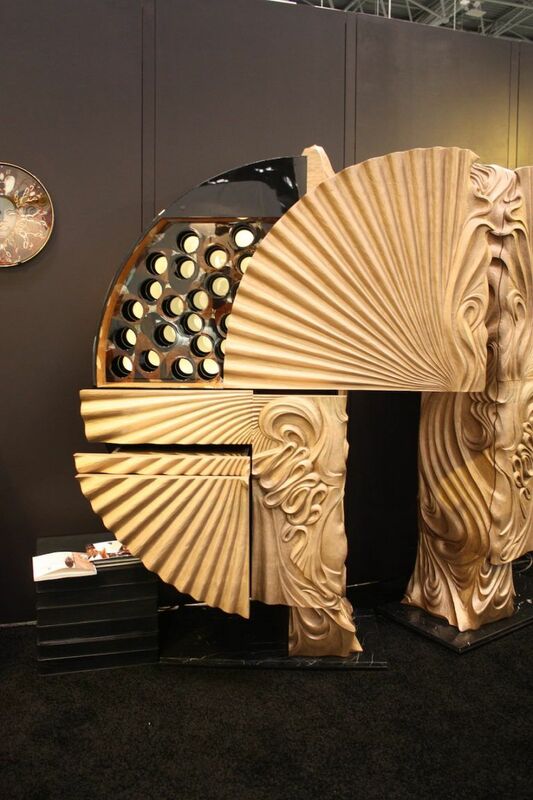 The cool design provides great mood lighting and gets rid of the need for unsightly speakers in your room. 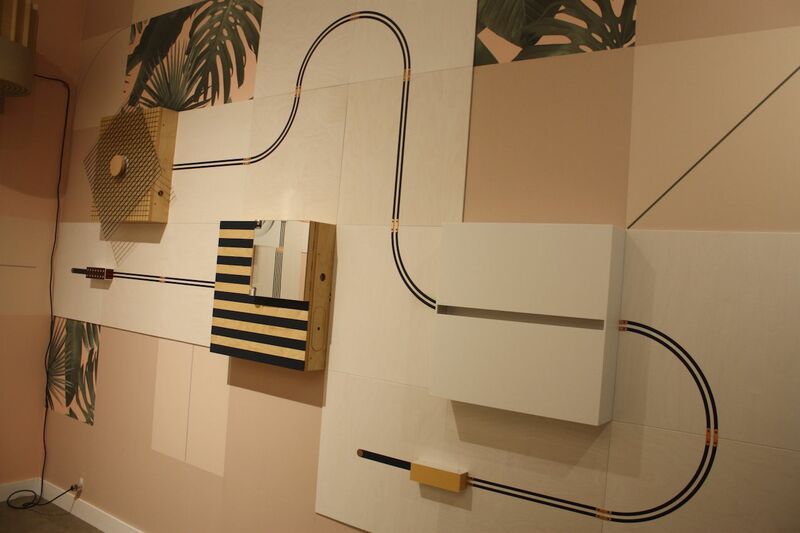 A little more “techie” is this interactive wallpaper, which is a collaboration between Flavor Paper and UM Project. 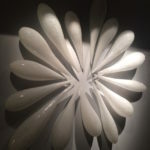 Using conductive ink, the design is connected with copper joints to various tools like lights, fans and elements that spin. By interactive with different parts, you can turn on and off these functions. 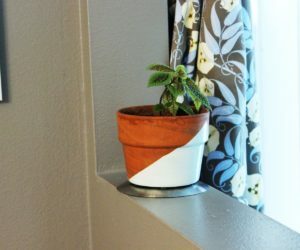 It’s a really novel use of conductive ink in a cool home design. Even though we can have screens with us wherever we go these days, there’s something about being able to project a movie anywhere that is freeing — both in design and function. 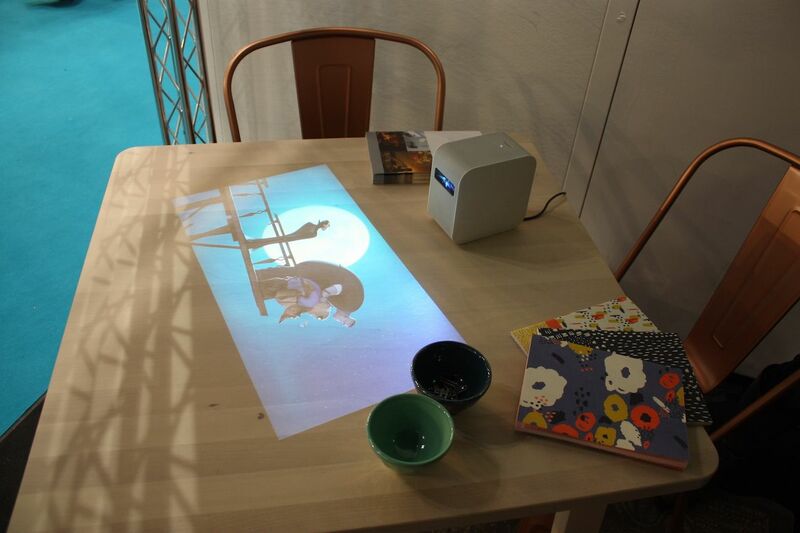 This tiny TV projector from Sony can play your favorite show, movie or family photos on any surface, eliminating the need for multiple televisions. Now that’s cool! Technology has also come to the fireplace. No flue? No problem. 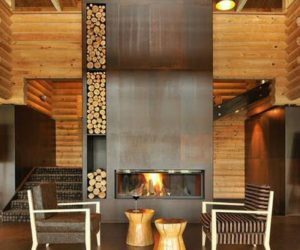 This cool design for a fireplace cabinet from Brabbu uses an ethanol fire that give you all the ambiance of a real fire without the mess, heat or ventilation requirements. 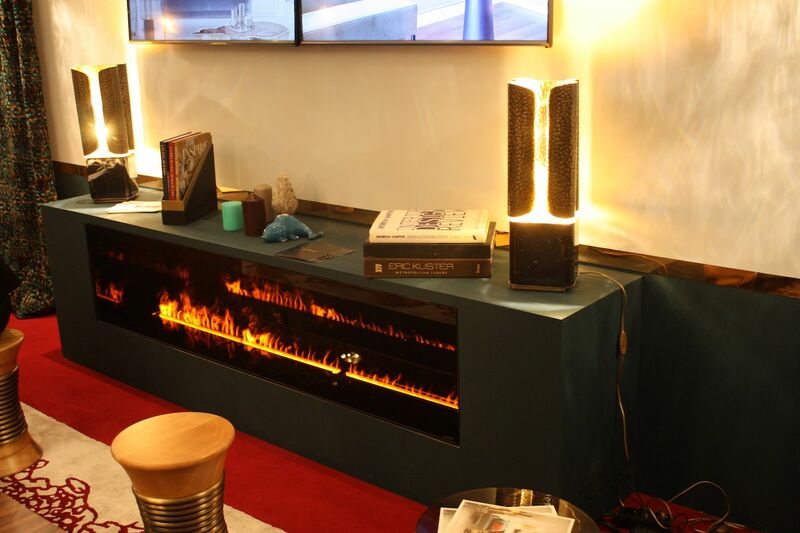 Now it’s possible to have a fireplace anywhere in the home. 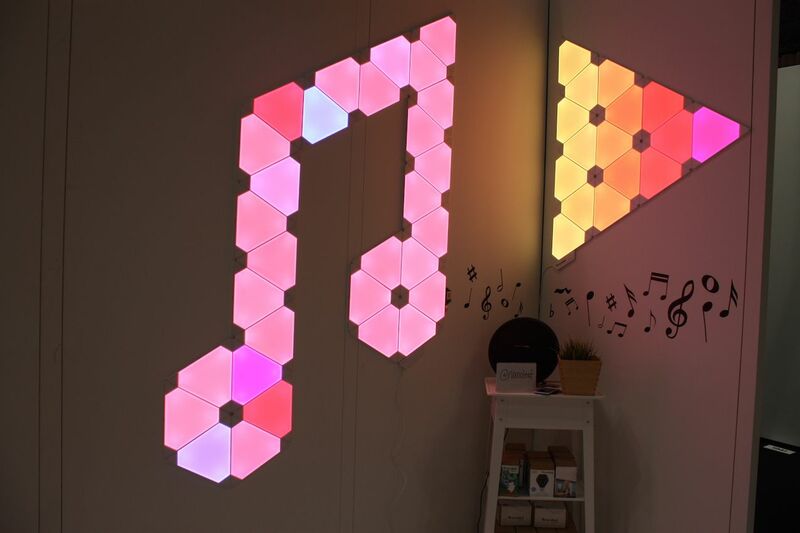 What started from a lightbulb with a very cool design, Nanoleaf has expanded to other lighting projects like the Aurora, which is composed of modular smart light panels that connect to your phone or tablet. 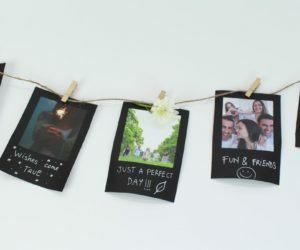 You can use them as decor and program them to change colors with time or your mood. Or, set the colors to your favorite music to really make an impression at your next party. 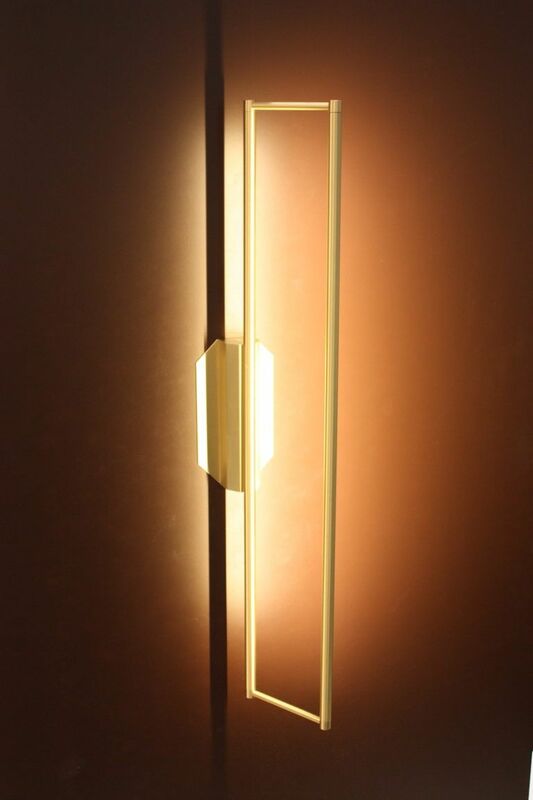 Ever since the advent of the LED, the lighting sector has absolutely blossomed in terms of the wide variety of cool designs being created. Besides pure artistry and novel materials, a good deal of new lighting is going cordless and portable, thanks to USB charging technology. 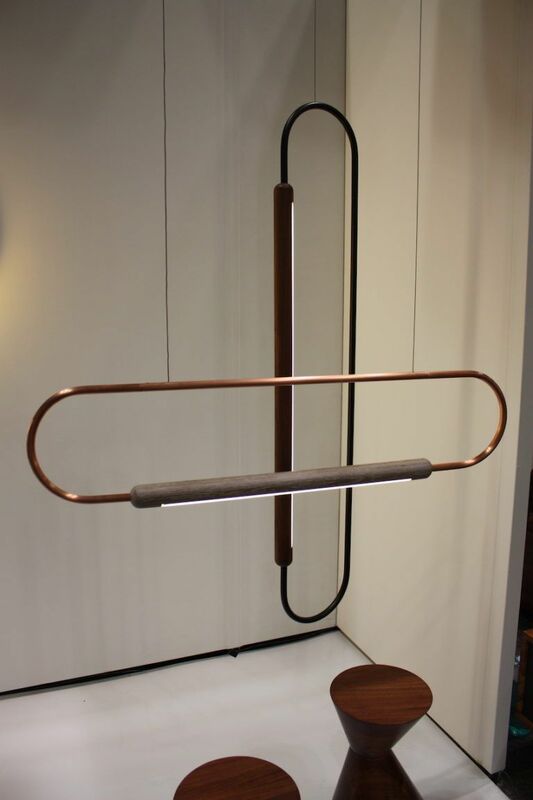 Starting with artistry, Arturo Alvarez has a number of innovative designs that would fit into this collection of cool lighting fixtures. These are his Pili, which are like puffy little clouds made from one single painted stainless steel thread. 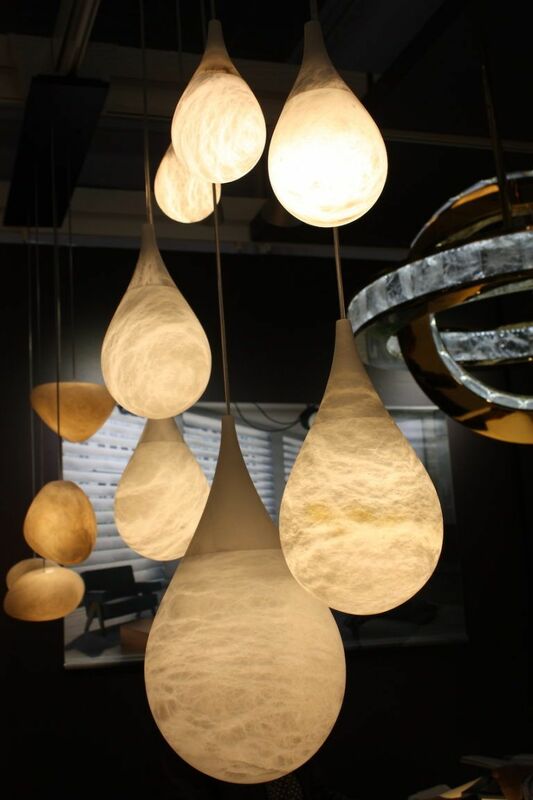 Glowing orbs of light hanging from the ceiling are actually carved from alabaster, which is incredible. 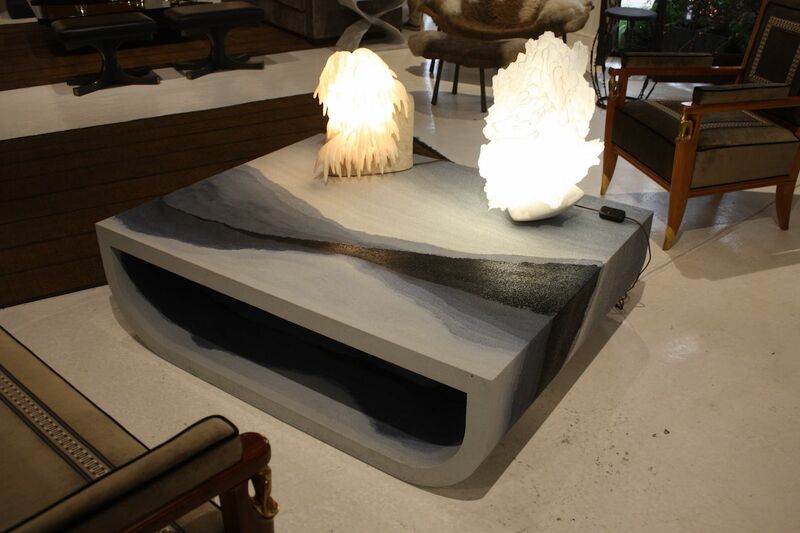 The stone fixtures are by Alain Ellouz, who creates all his works from alabaster rock and crustal. The contrast of stone — typically a “heavy” material — and the delicate light from the pendants are a dichotomy. 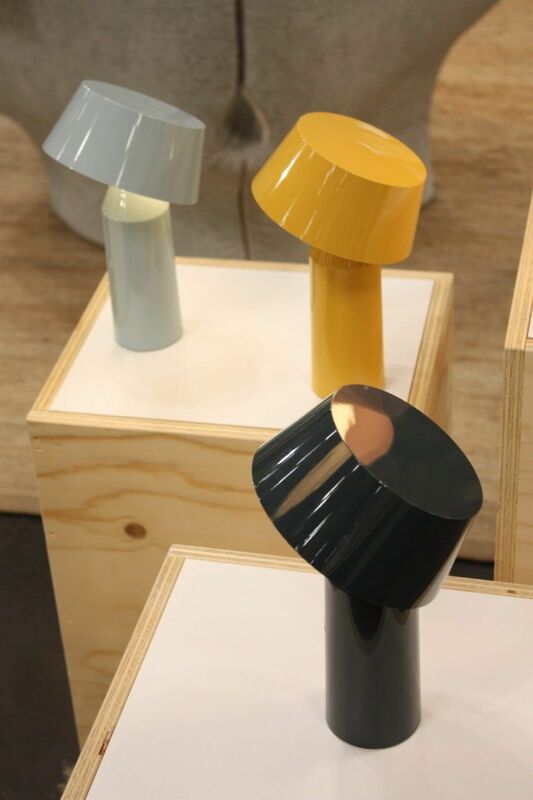 Among the portable lights are these little colorful lamps from Marset. 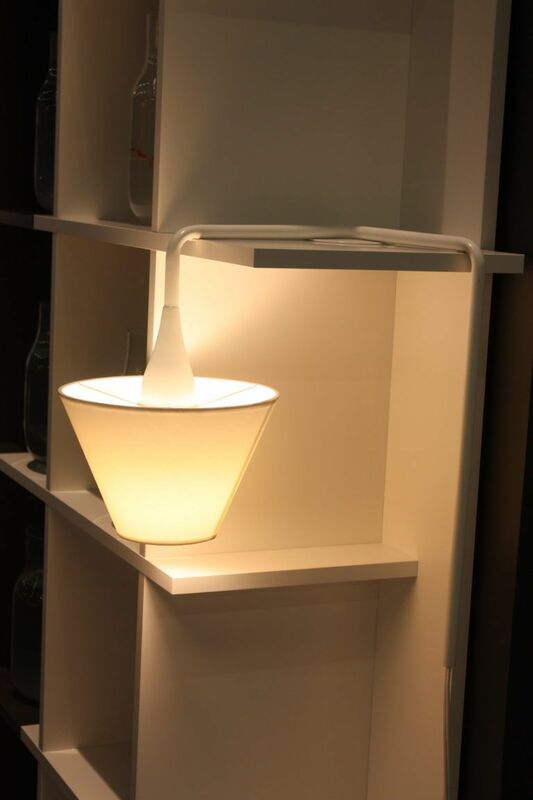 The Bicoca portable lamp, designed by Christophe Mathieu, can go anywhere in the house with you. 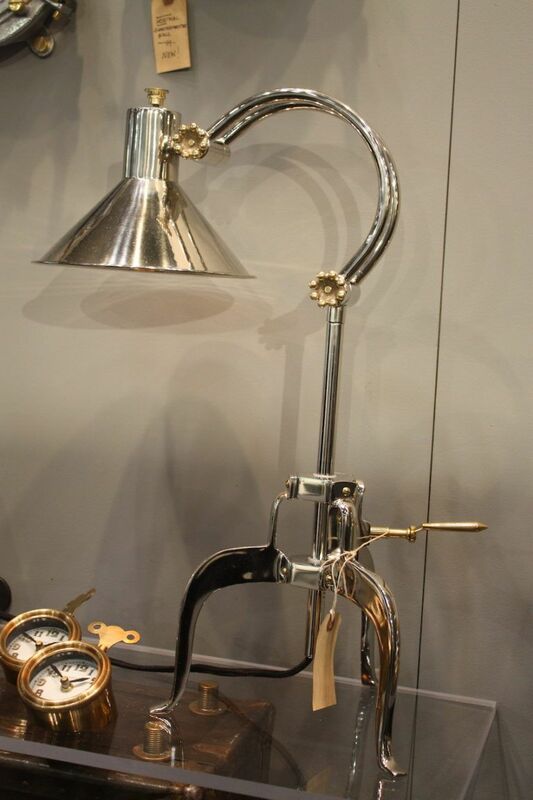 This is great for a number of reasons but this cool design means you might not need as many different lamps. It also can go outdoors in case you need a little light while sitting on the patio. 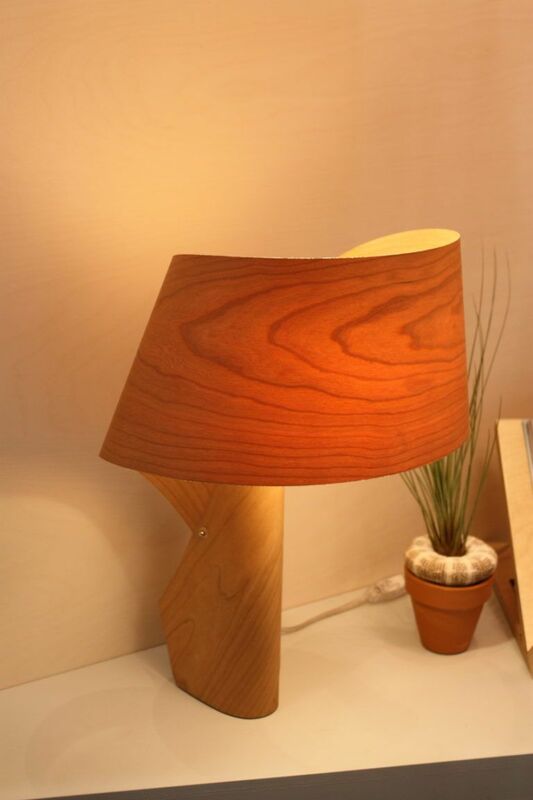 This little unassuming table lamp is made from some of the coolest materials around. 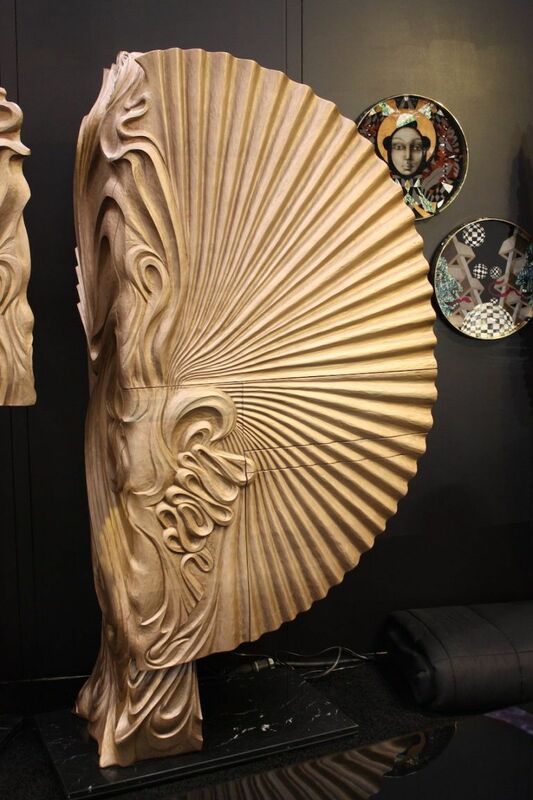 It’s fashioned from a wood veneer that is attached to a special material, allowing designers to roll and fold it, creating cool designs that cast a really warm light. 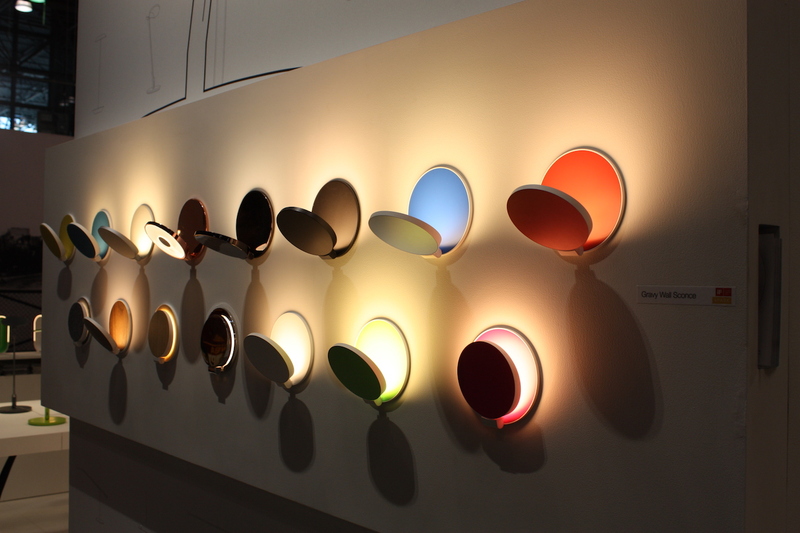 From LZF, the fixtures con=me in all sorts of colors too. 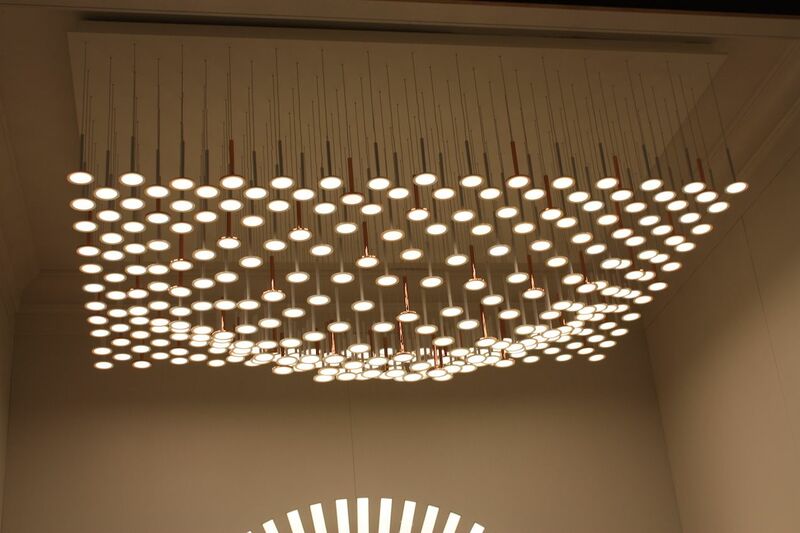 A ceiling light display by Blackbody OLED is composed of just that — organic light-emitting diodes, OLEDs, for short. 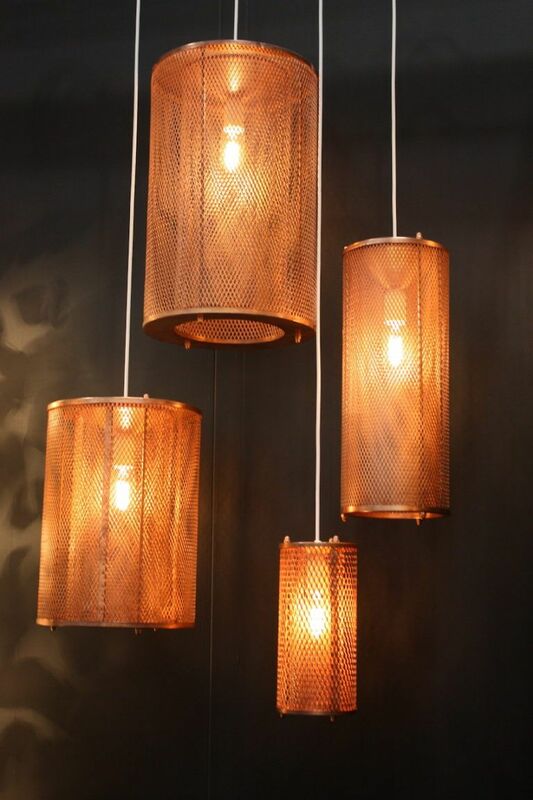 The way they create light is different and with these individual lights, you can easily pop the top source right off. 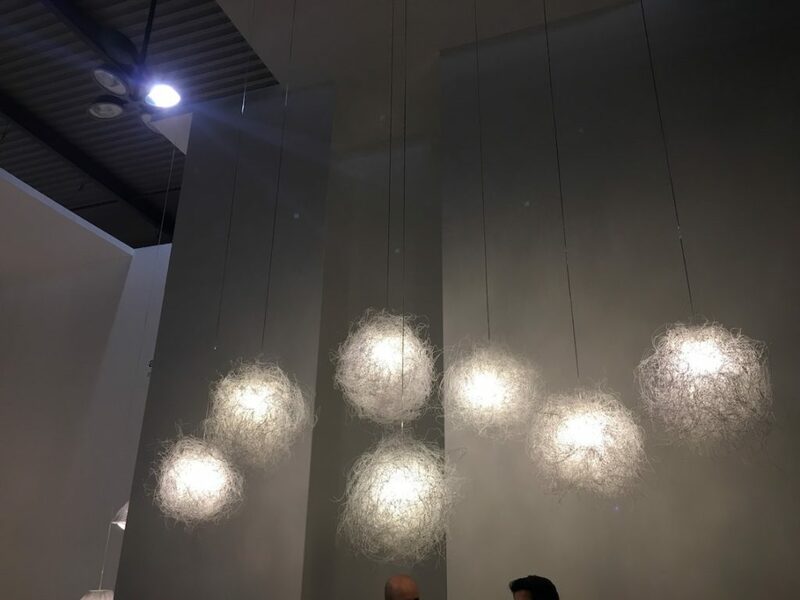 This “Rain” ceiling fixture is a cool design that truly looks like light is raining down. It’s easy to find all cool accessories for almost every decor style, and of course we have our latest favorites, starting with candle holders from Ooumm. 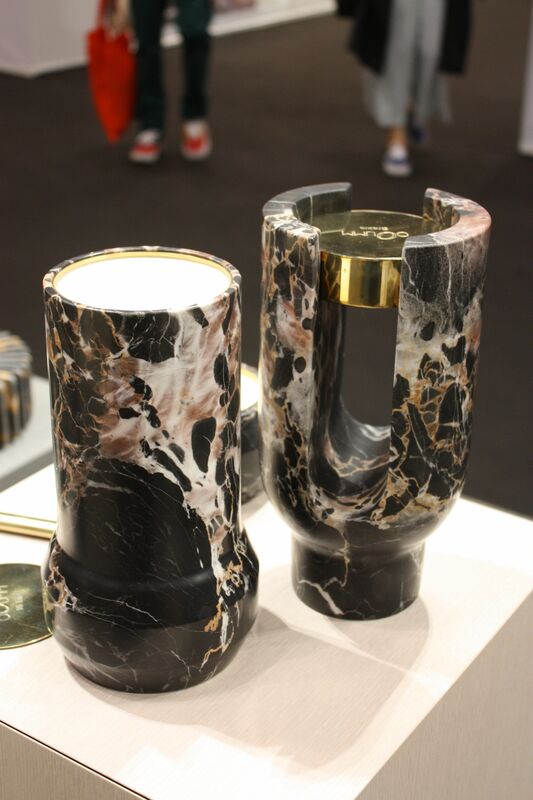 The Parisian company makes a system of different marble holders that holds their home fragrance candle refills. The holders are gorgeous who empty and there’s no waste, tossing holders after you use them. The HAHA Alia Candle holder is a cool little accessory that more than one function and can be mixed and combined. Made from a zinc alloy, it is chrome-plated, while the cylindrical pillar is solid stainless steel. 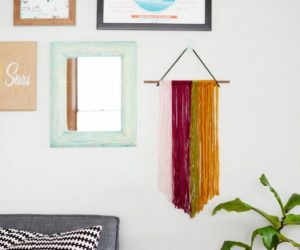 Like moths to a flame, we were immediately attracted to the whimsical, colorful — and slightly peculiar — decor accessories from Miho Unexpected Things. 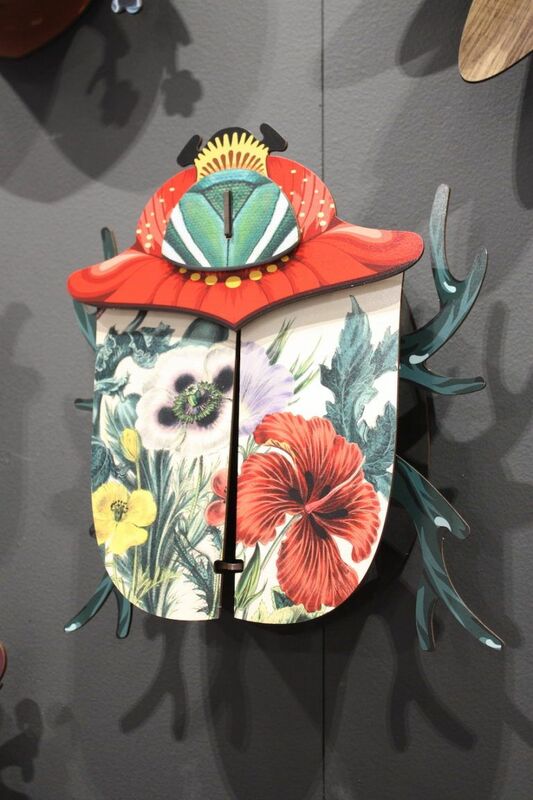 Bugs that hide a little shelf, fish that swim across the wall, flowers that bloom with prints and color — they are all cool designs that are, as branded, unexpected. 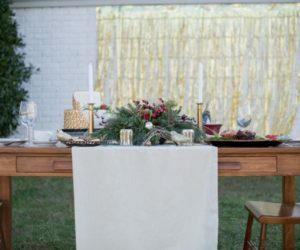 Entertaining is a lot more fun when you have great little accessories dress up your place settings. 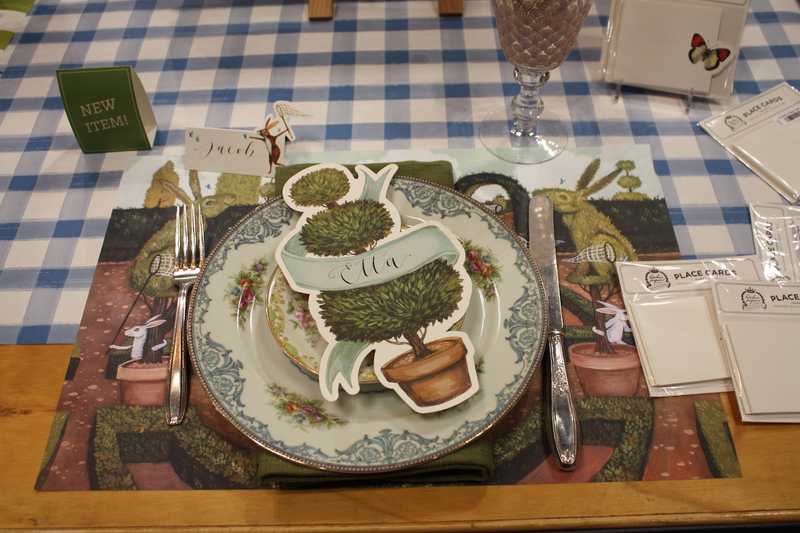 Hester and Cook has a wide variety of cute placemats, place cards, menus and invitations that enliven the table. Kids and adults alike will enjoy these. You outdoor living space can feature plenty of designer furniture and cool accessories as well. 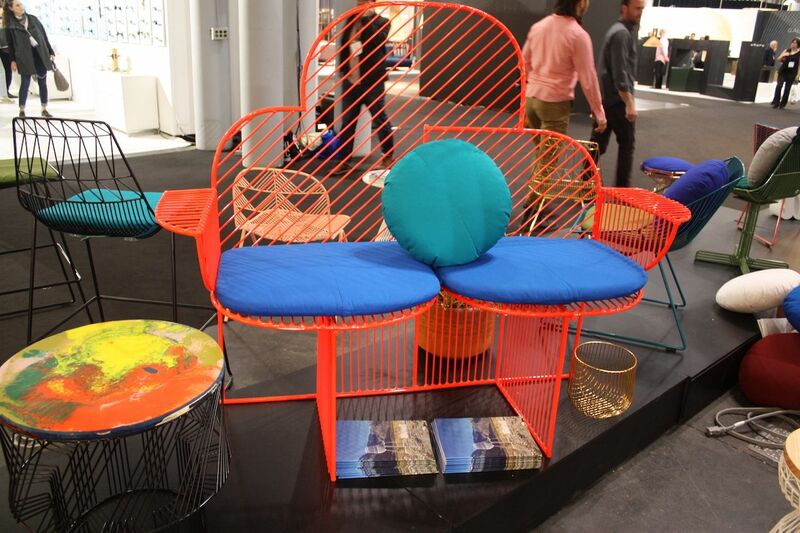 Bend Goods has colorful coated wire seating, tables and accessories that are cheerful, cool additions to your patio or deck. 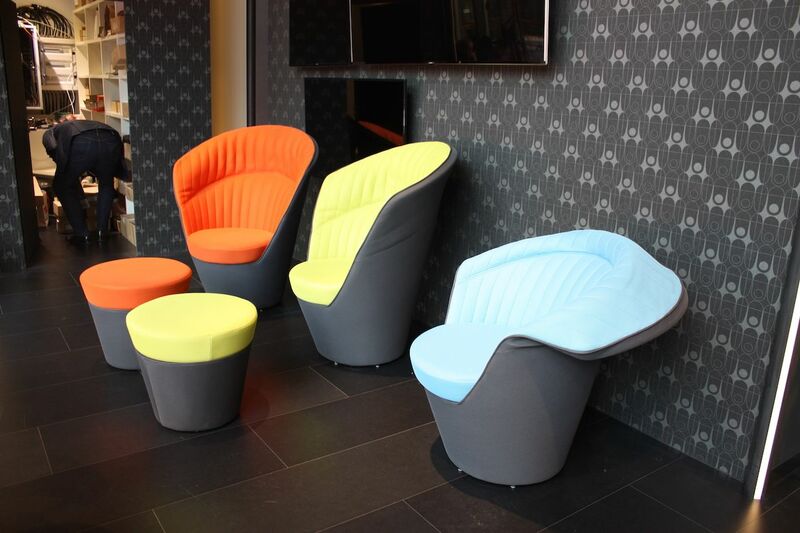 Another piece that can withstand rain and the summer elements is this fabulously modern seat from Fermob. 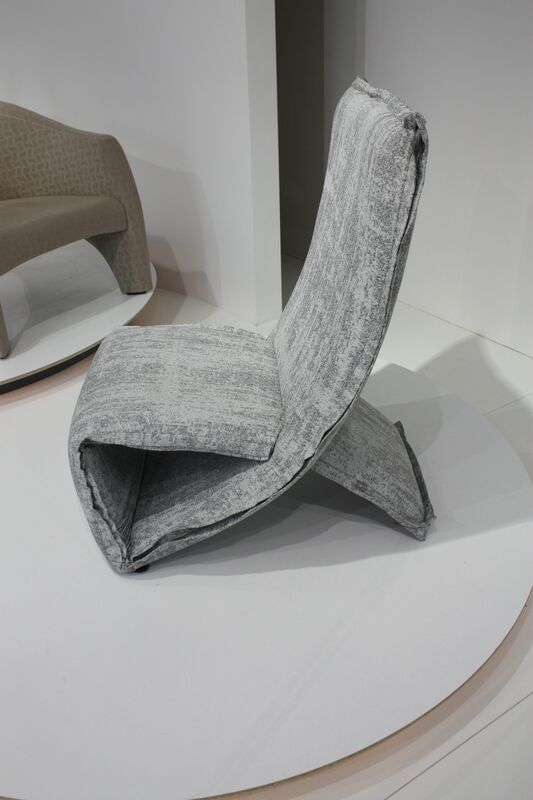 The upholstery fabric is waterproof and the style looks like something you would find in a stylish interior. 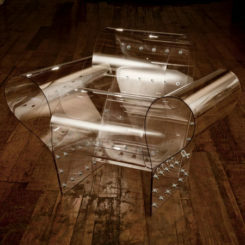 Its one of the best furniture pieces for making your outdoor space stylish and chic. Surprisingly, these two lounges are the same piece by Extremis. It is the Sol +Luna Australis Borealis outdoor lounge bed with backrest. They can be changed up depending upon the use you have planned. This cool design increases the functionality of your outdoor living space by making useful for just a few people or many. We found quite a few of things that defy categorization but they are such cool designs that we really want to show them to you. 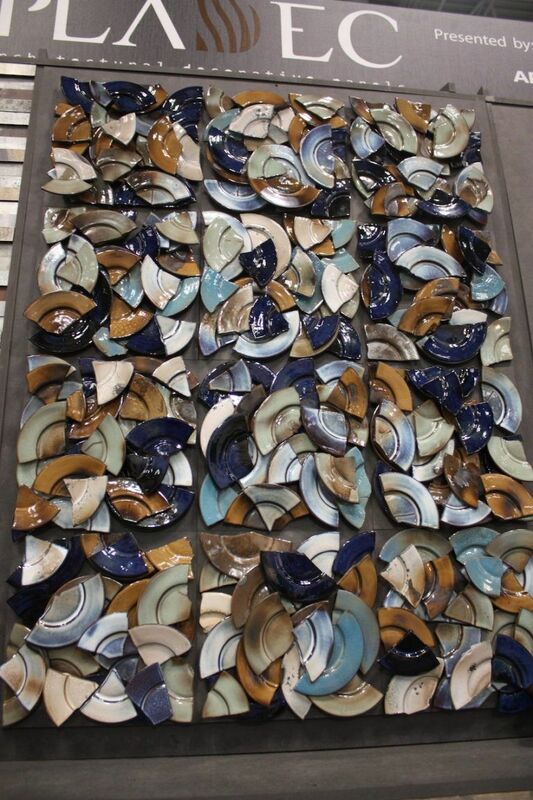 Usually, when someone mentions ceramics, pots and plates come to mind, but this room by Peter Lane is mind-blowing. 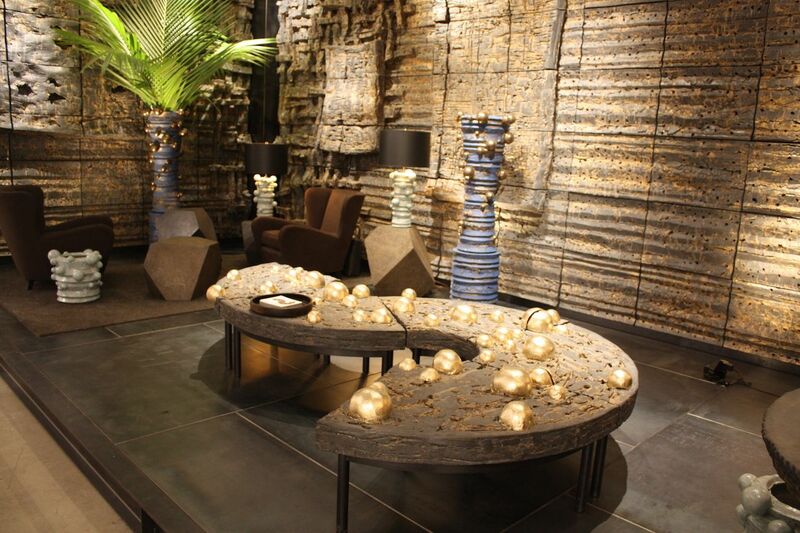 Every piece and component is fashioned from ceramics, from the wall coverings to the tables and accessories. 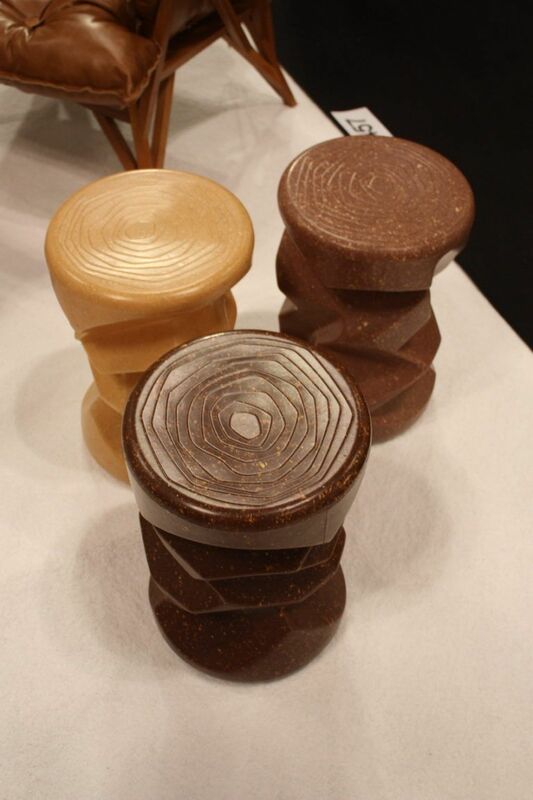 Not only are the designs cutting edge but the textures are amazing. 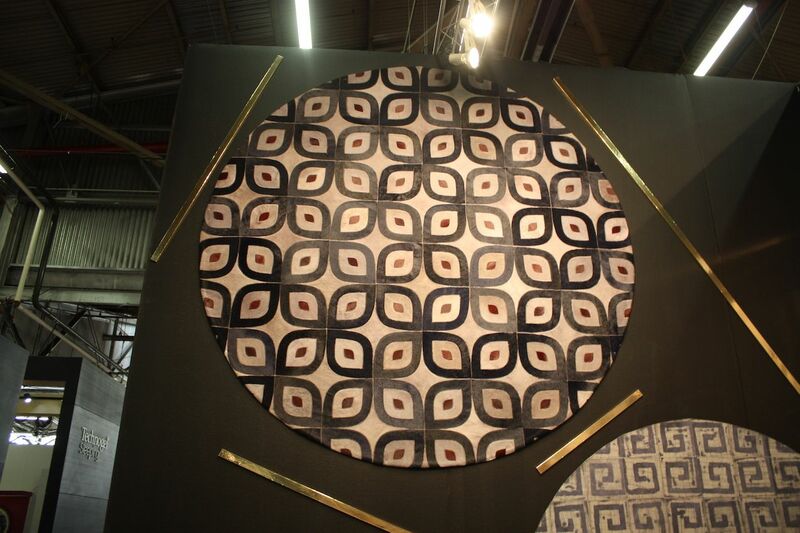 Usually a rug is a rug but these hair-on-hide rug designs from Castelluxe are something else entirely. When the typical hide rug is simply composed of squares — big or small — this company raises the rugs to another level by turning the hides into complex and color graphic rugs, whose material is really a big surprise. From a distance, these look like chinks of steel girders being used as architectural elements. But as we got closer, we found out that these are actually Featherbeams, replicas of girders made from a lightweight plastic. 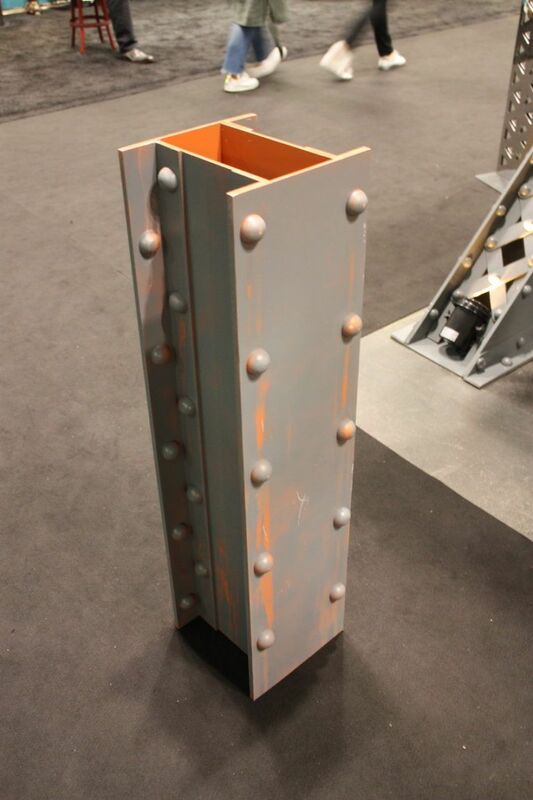 They can easily be used to inject an industrial vibe to any space and can become pedestals for plants and art. Very cool designs indeed. 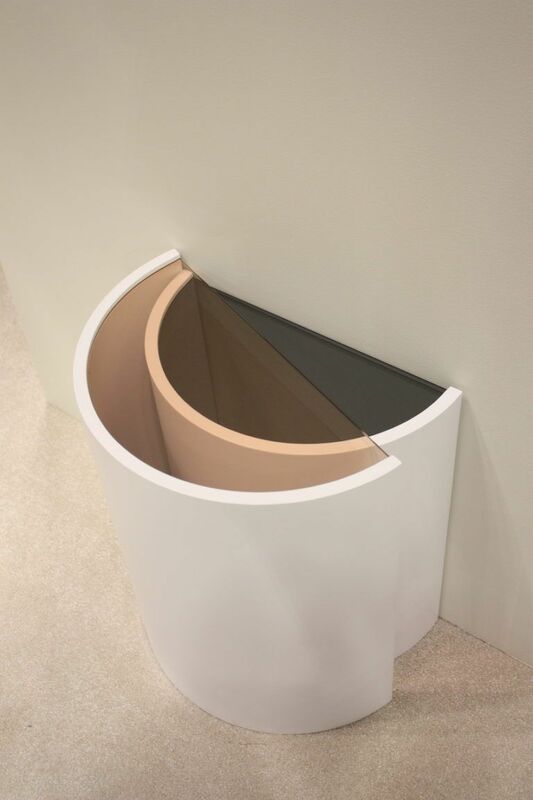 These may be functional room dividers but we see them as major art pieces when they look like the samples we have here. 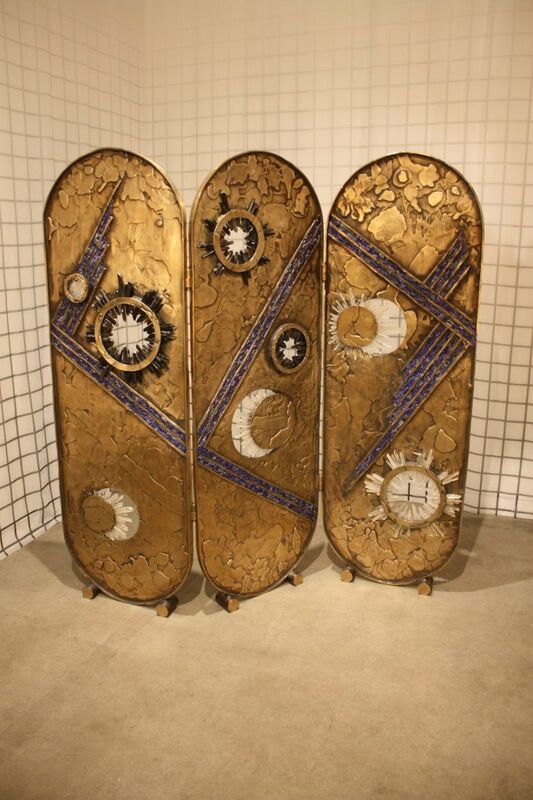 A golden, somewhat mystical room divider by Christopher Boots of Australia. 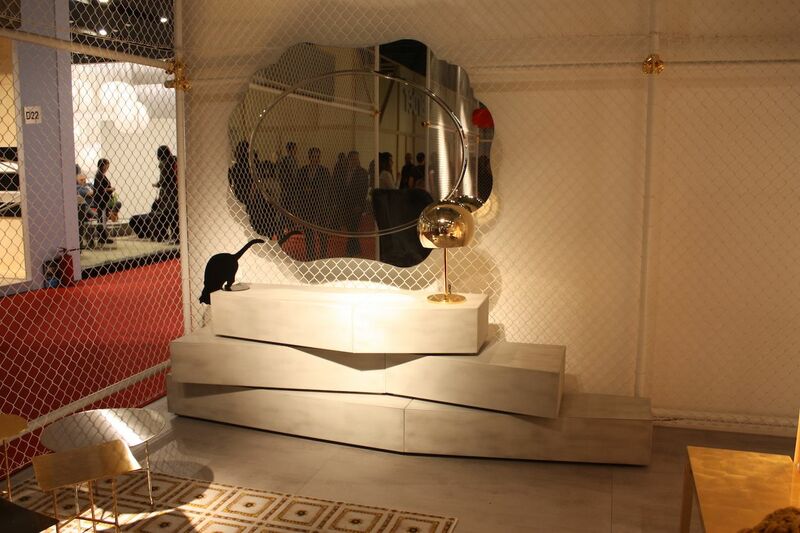 The one-of-a-kind screen took four years to create and it incorporates clear and smokey quartz crystal into the design. 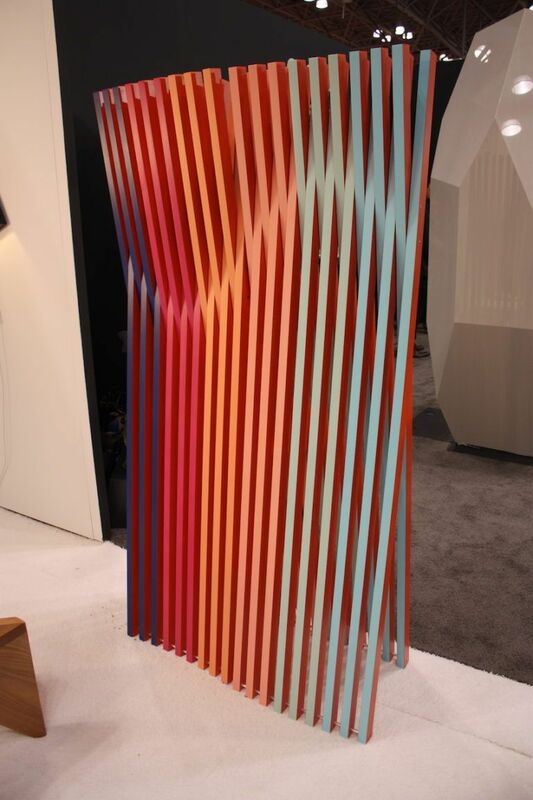 This screen is like a wave of color, different when viewed from various perspectives, From Noemi Saga Atelier, the Conog screen is a mix of cultural inspiration and contemporary art. 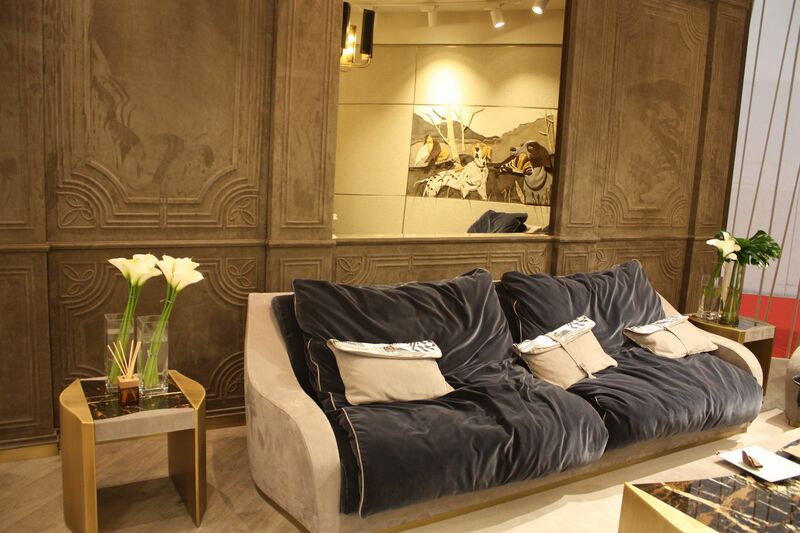 One of the decor sectors with some of the coolest innovations recently has been wall coverings. 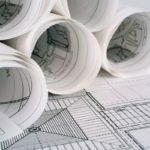 From dimensional, modular coverings to textural tile and digitally printed wallpapers, they are not what they used to be. 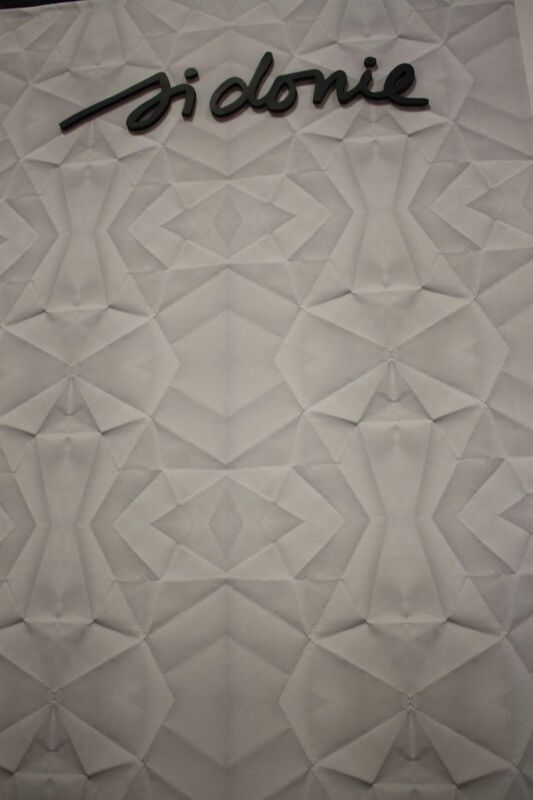 The first up is wallpaper from Sidonie Studio that plays on the features of paper folds themselves. While the wall covering looks like creased paper, it’s actually as smooth as silk, no folds or creases.